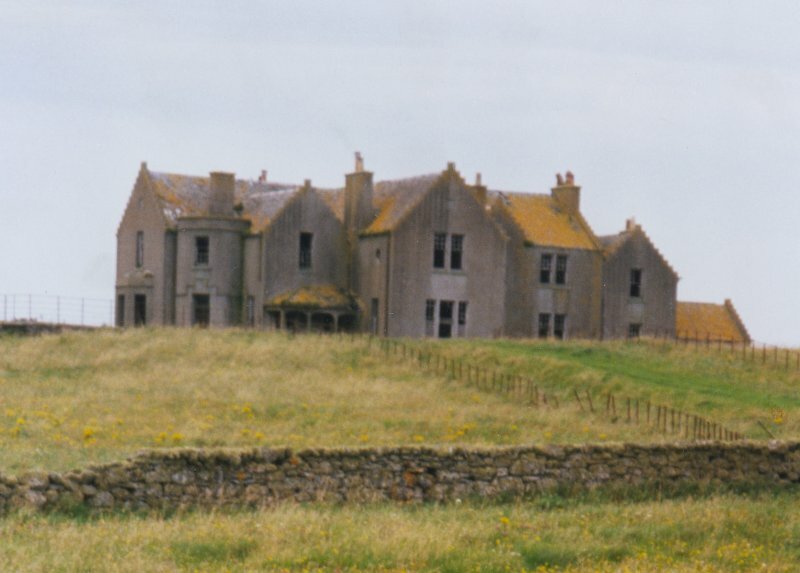 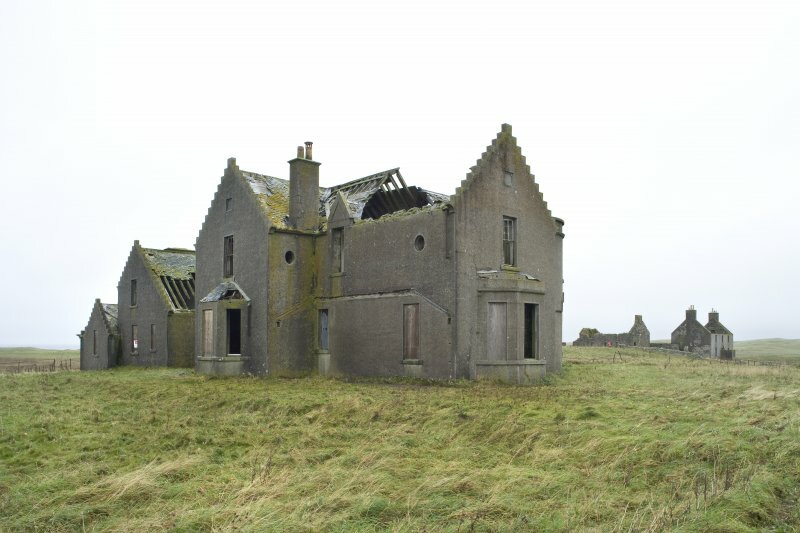 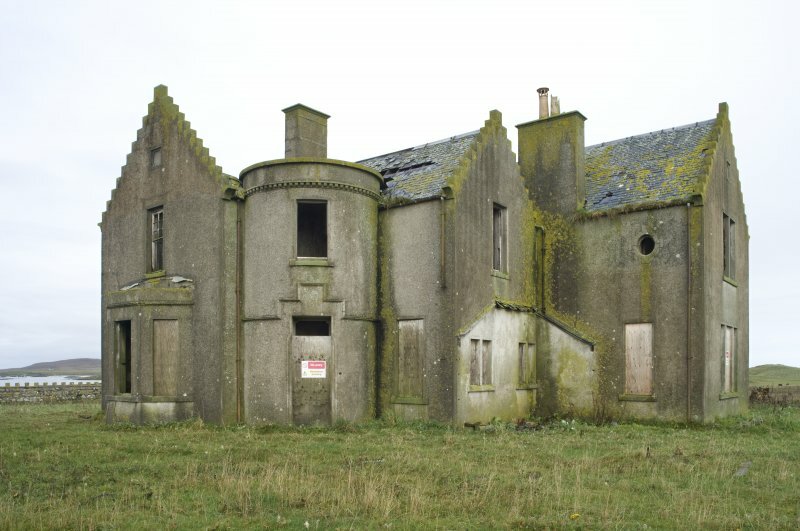 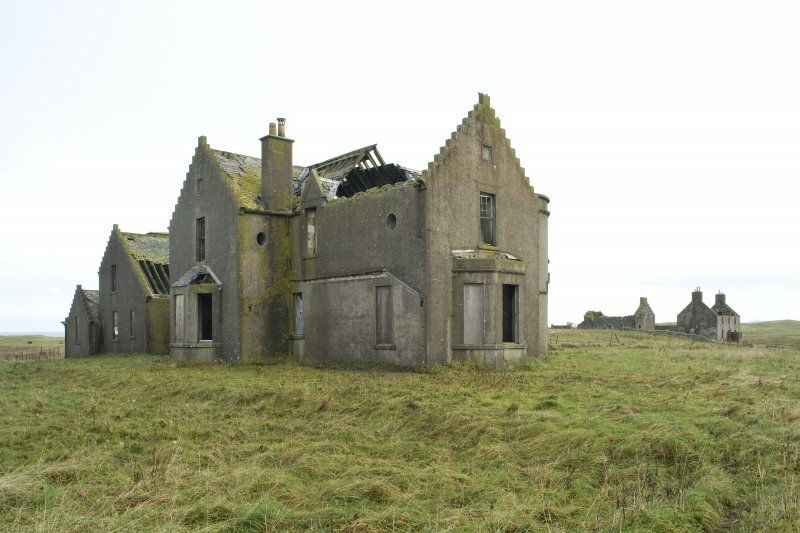 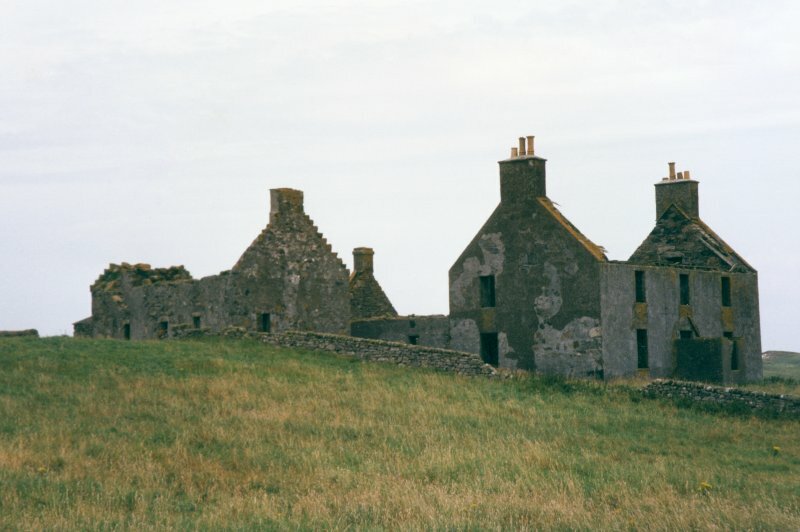 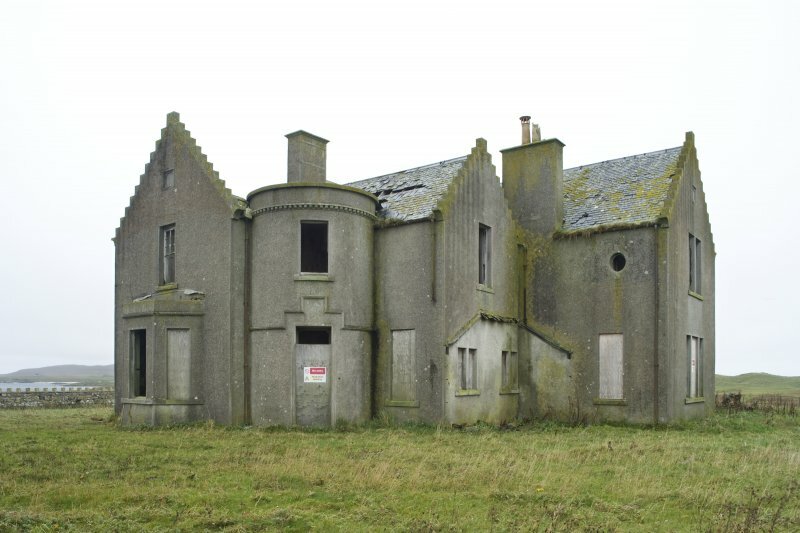 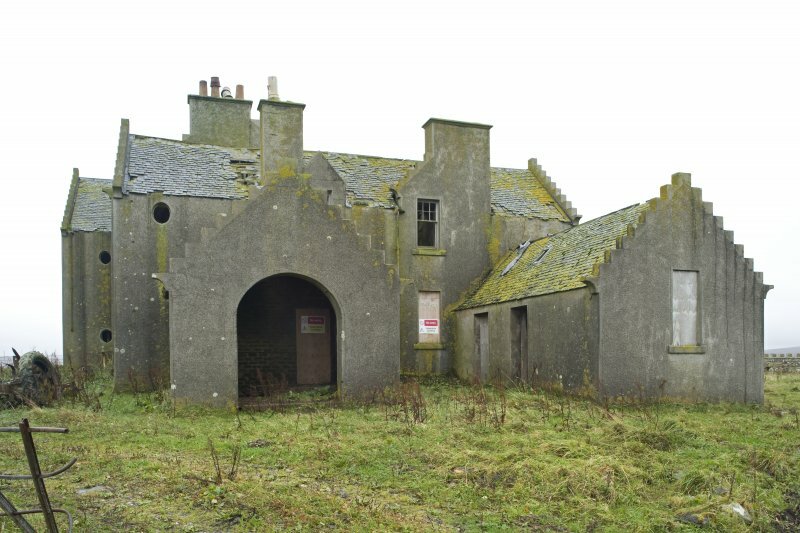 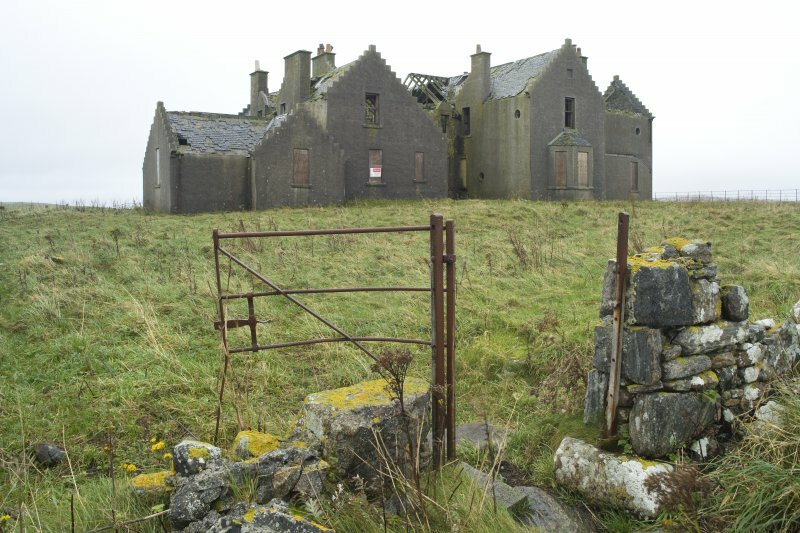 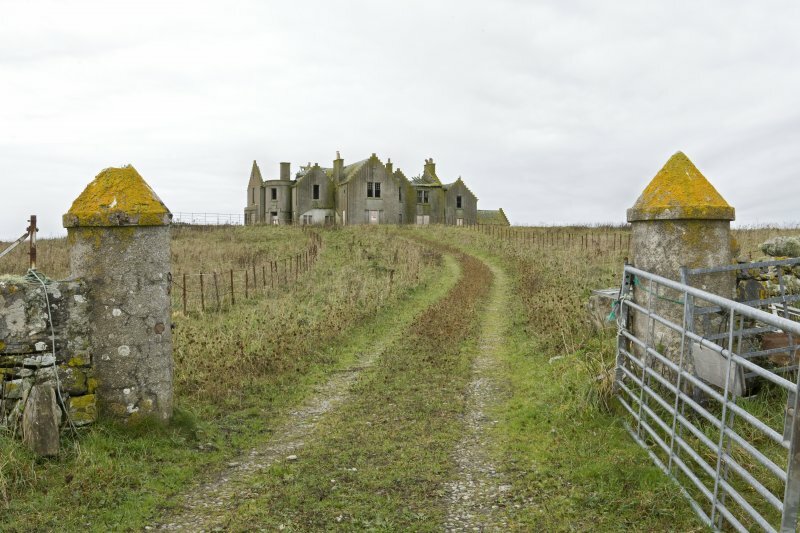 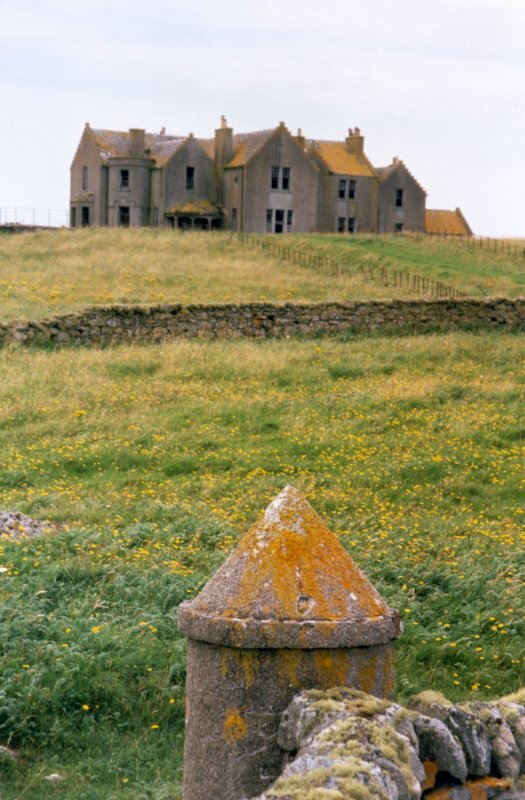 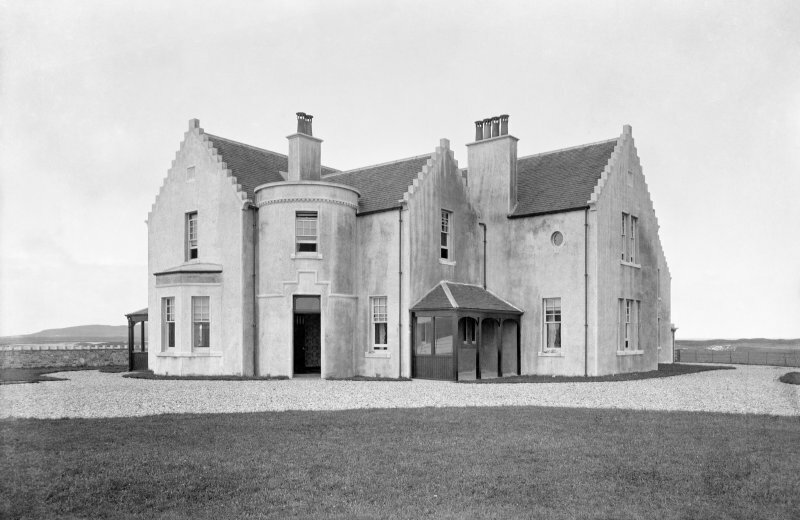 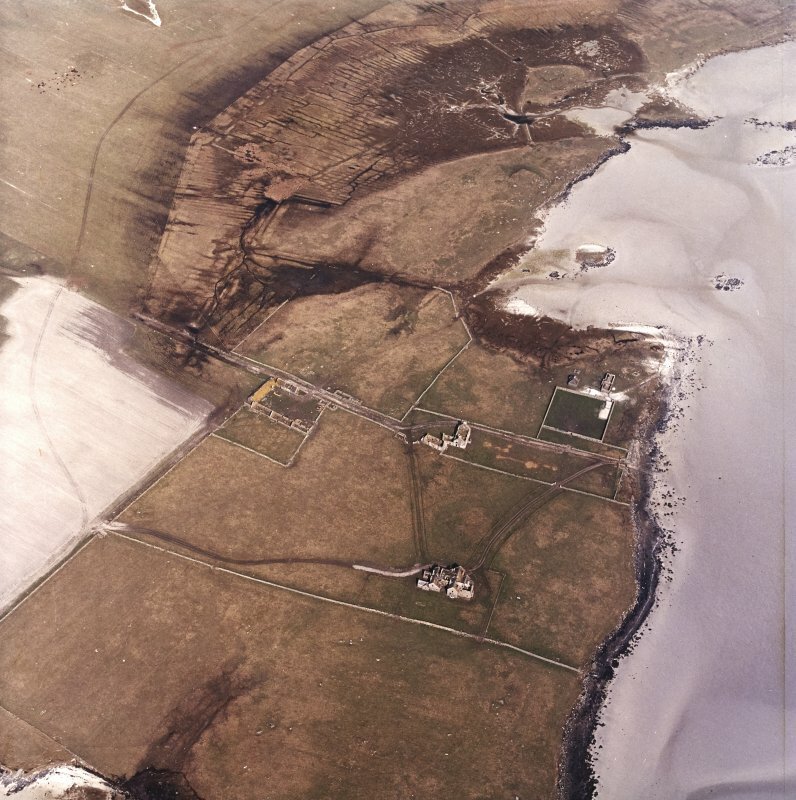 Copy of postcard of Vallay House, North Uist, published by Nimmo - Leith, Edinburgh. 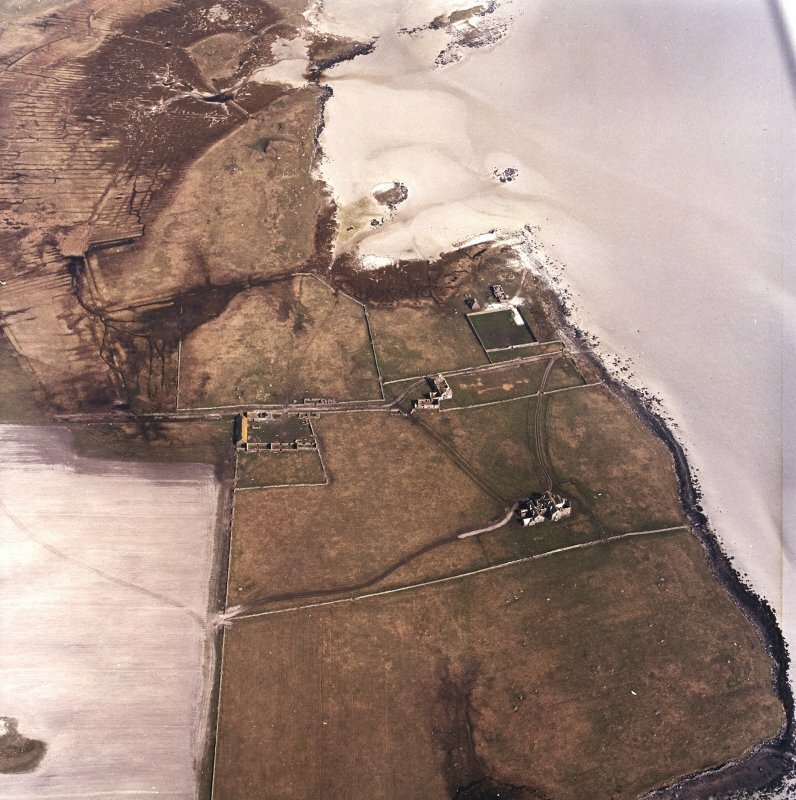 Oblique aerial view of the remains of Vallay House and Old Vallay House, Vallay, North Uist, taken from the SW.
General oblique aerial view of the Isle of Vallay, North Uist, taken from the W.
General oblique aerial view of the Isle of Vallay, looking from the location of the remains of fish traps at Moronish towards Vallay House, Vallay, North Uist, taken from the SW.
Oblique aerial view centred on the country house and the remains of the house, farmstead and walled garden, taken from the SSW. 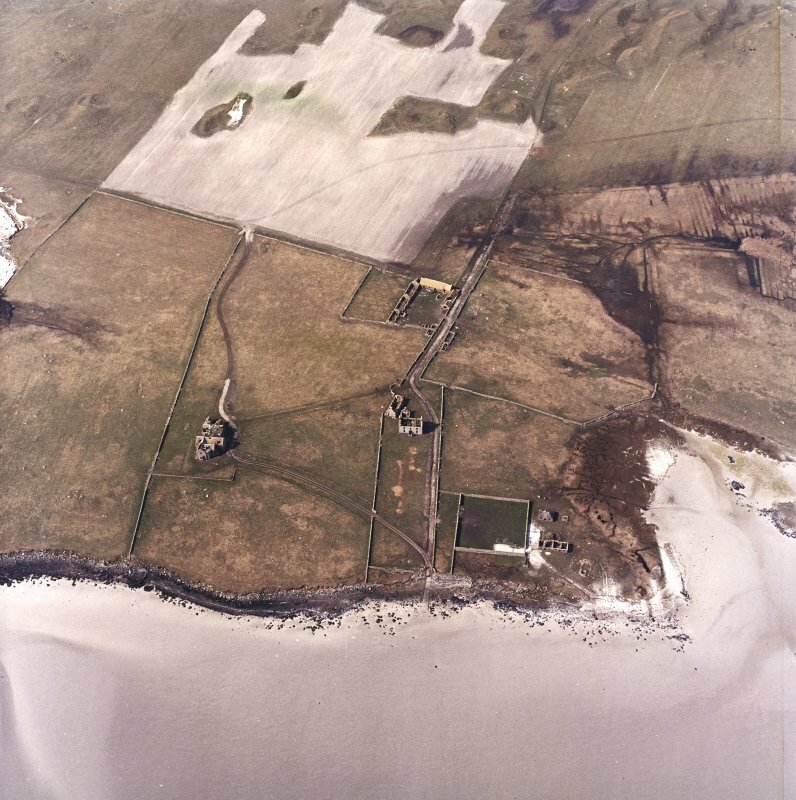 General oblique aerial view centred on the country house and the remains of the house, farmstead and walled garden, taken from the SSE. 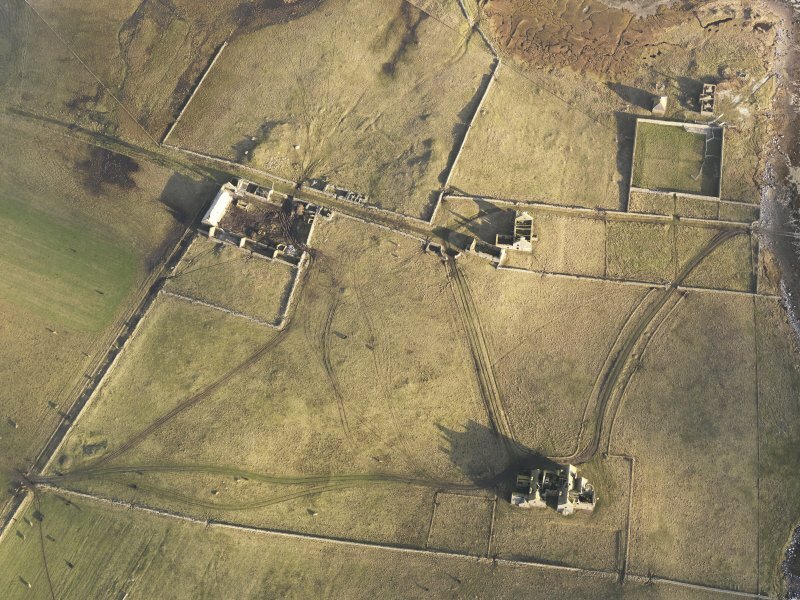 Oblique aerial view centred on the country house and the remains of the house, farmstead and walled garden, taken from the NW. 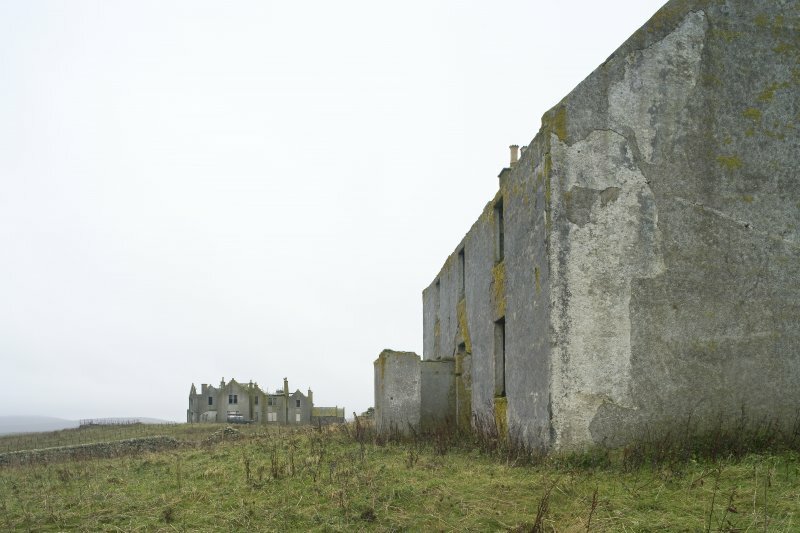 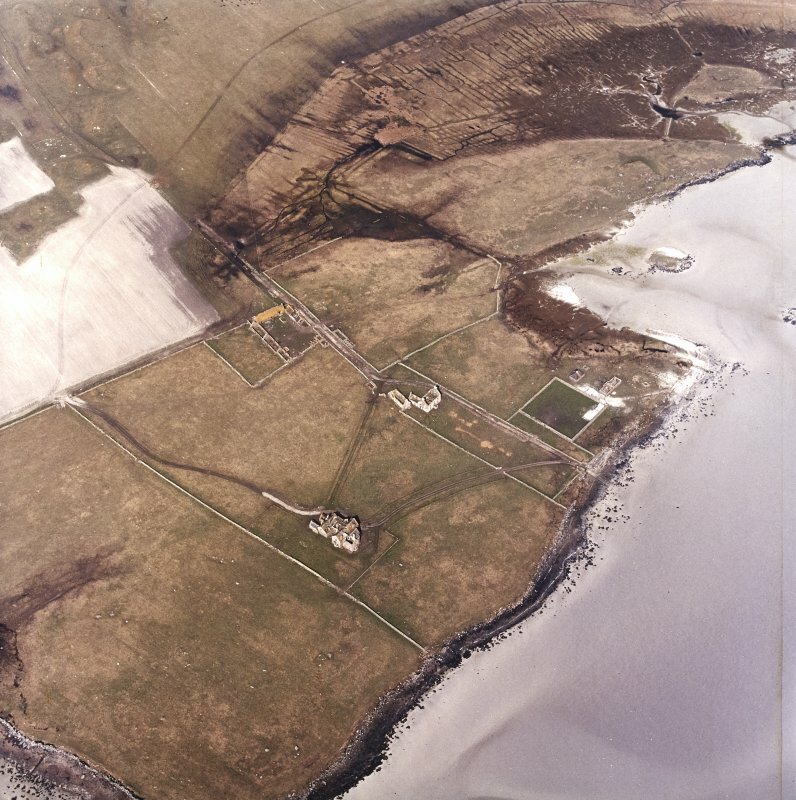 Oblique aerial view of the remains of Vallay House and Old Vallay House, Vallay, North Uist, taken from the SE. 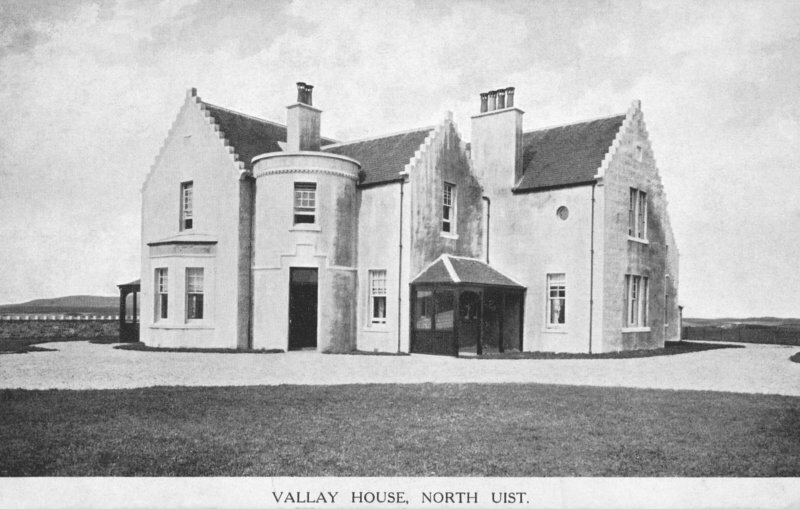 Vallay House shortly after construction. 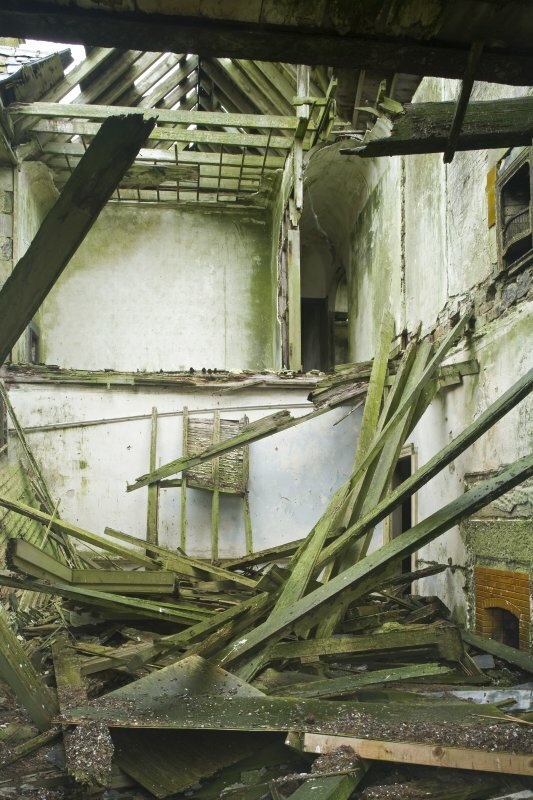 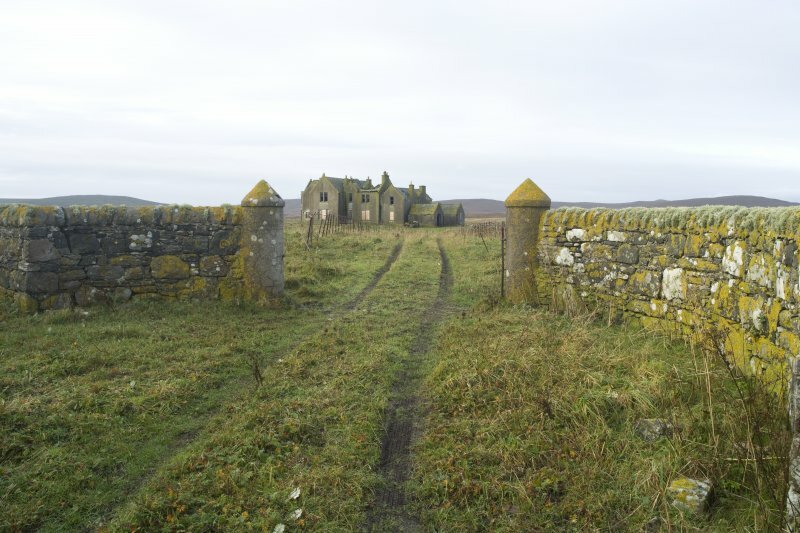 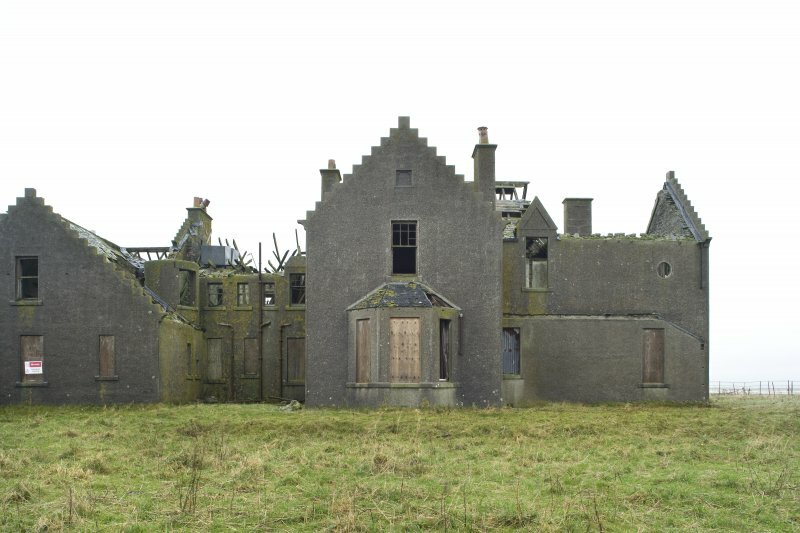 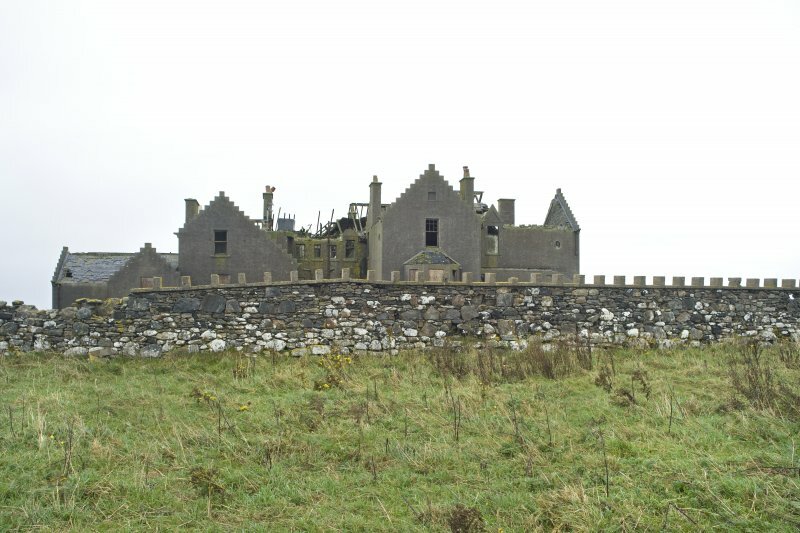 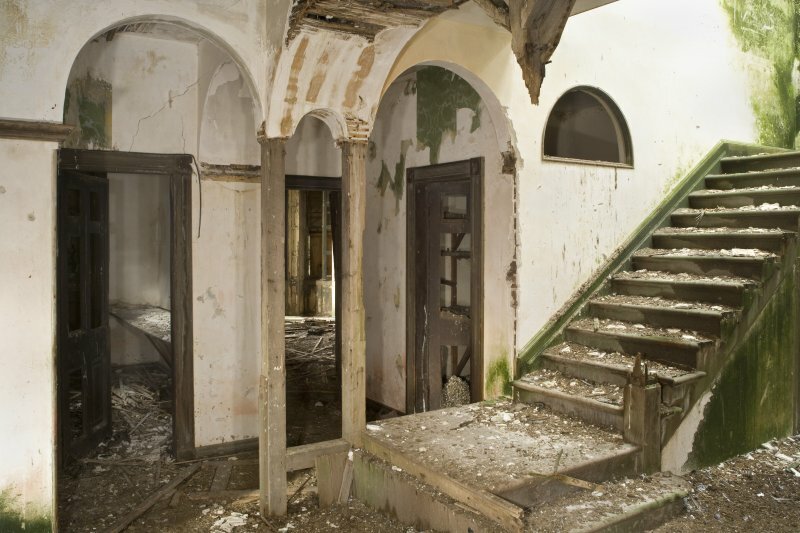 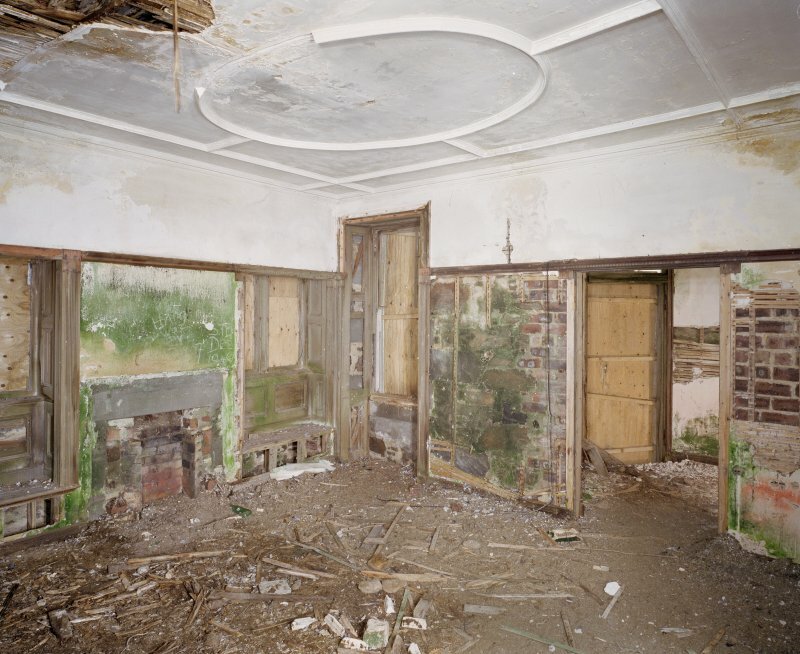 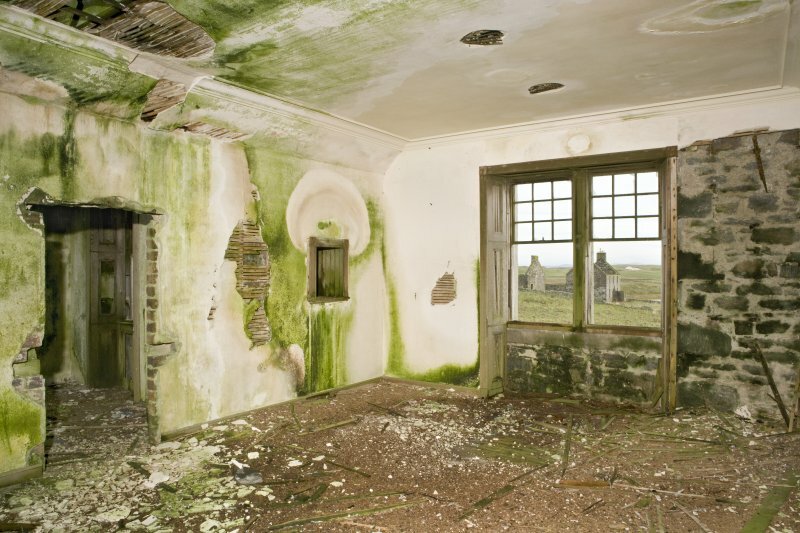 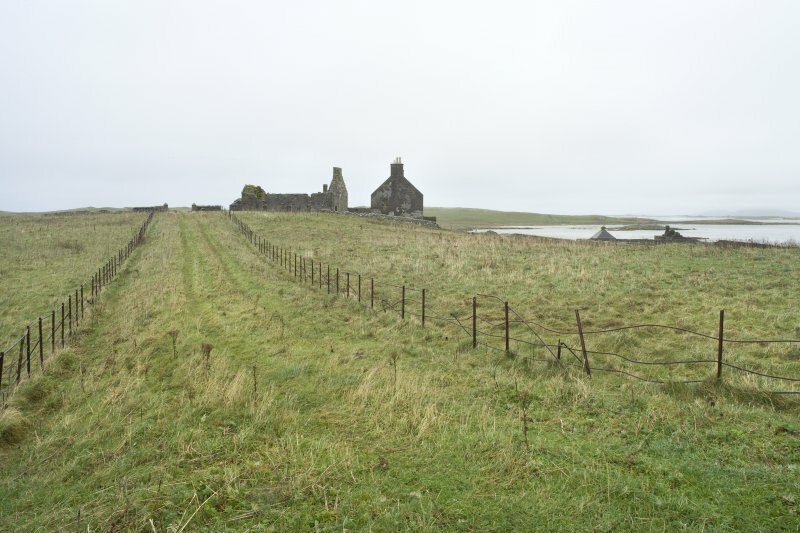 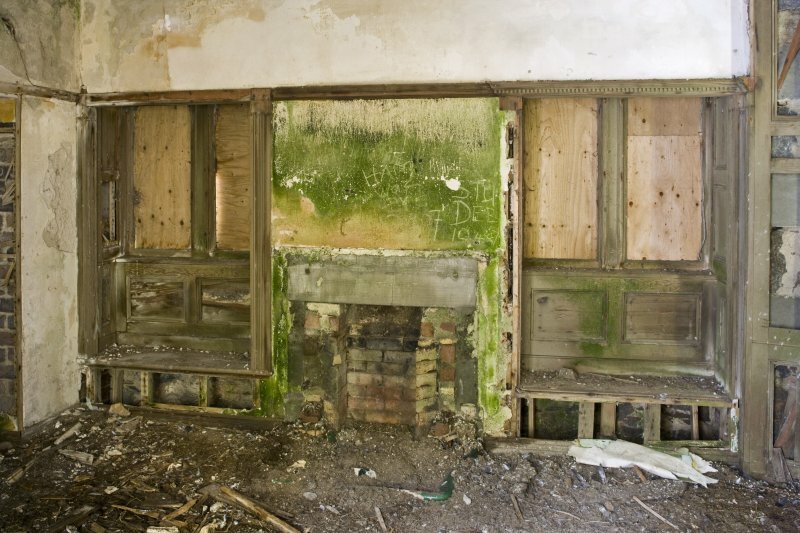 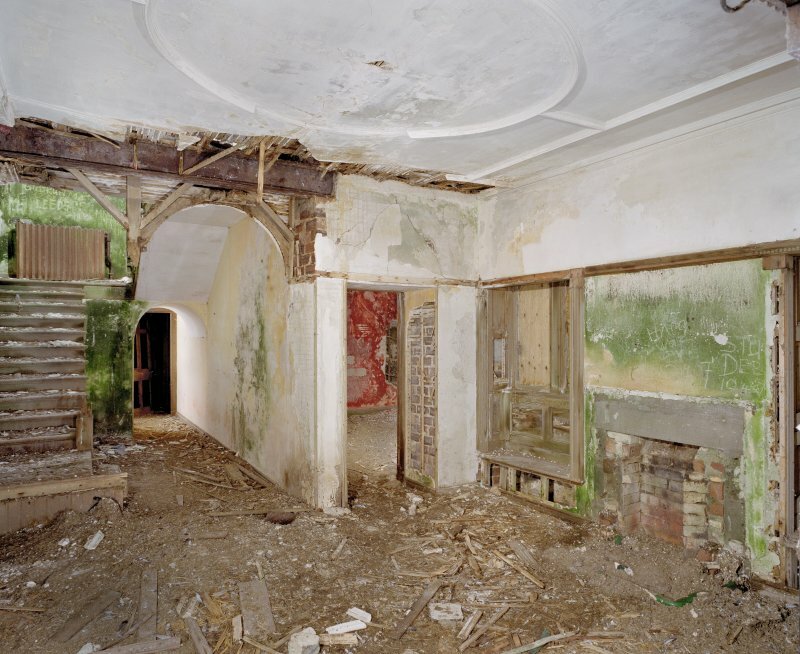 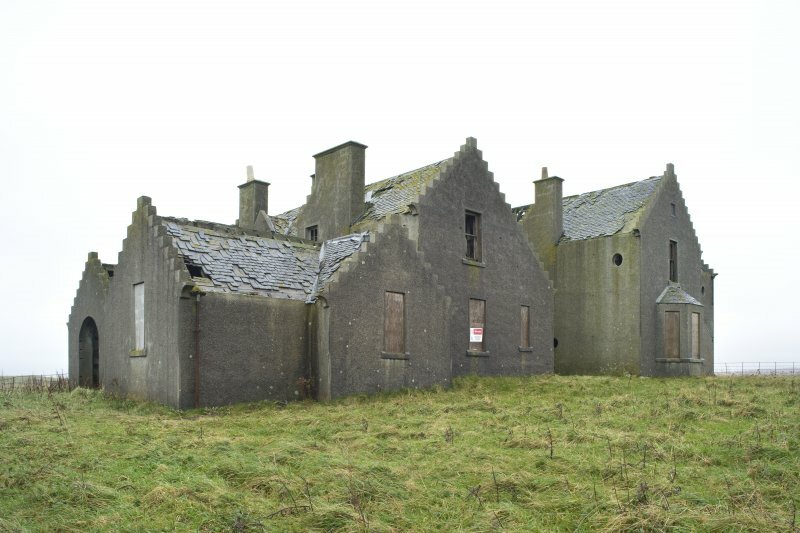 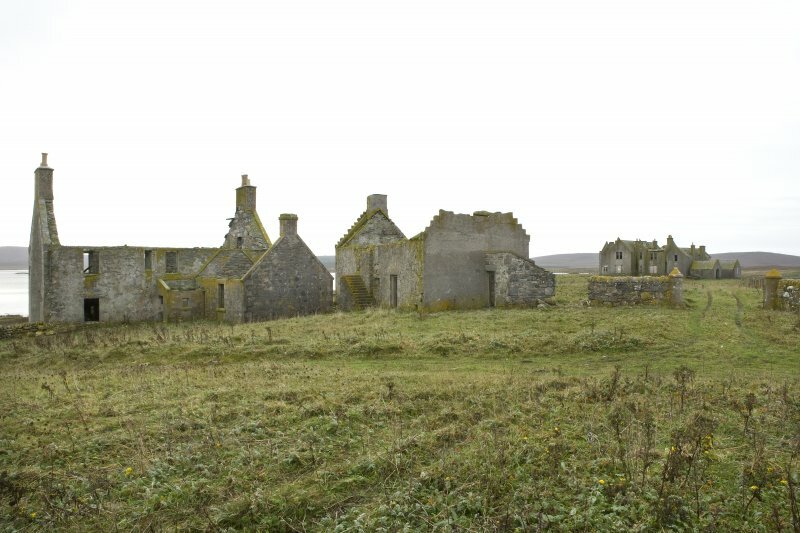 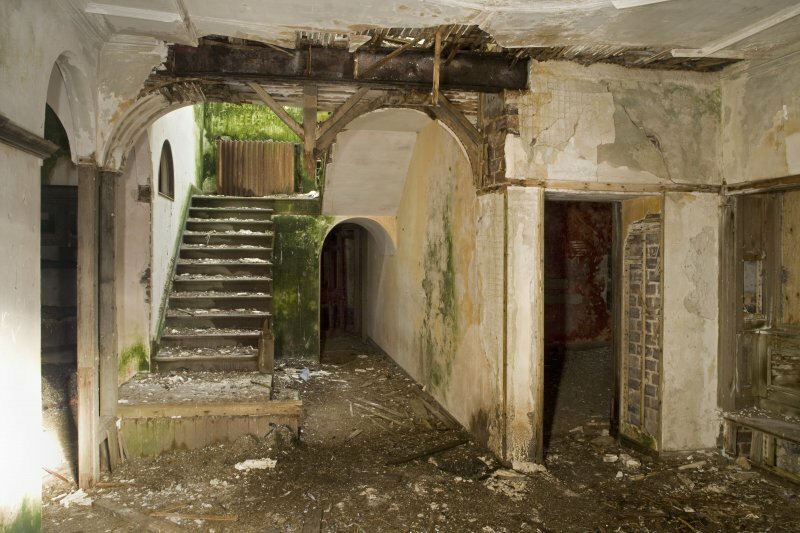 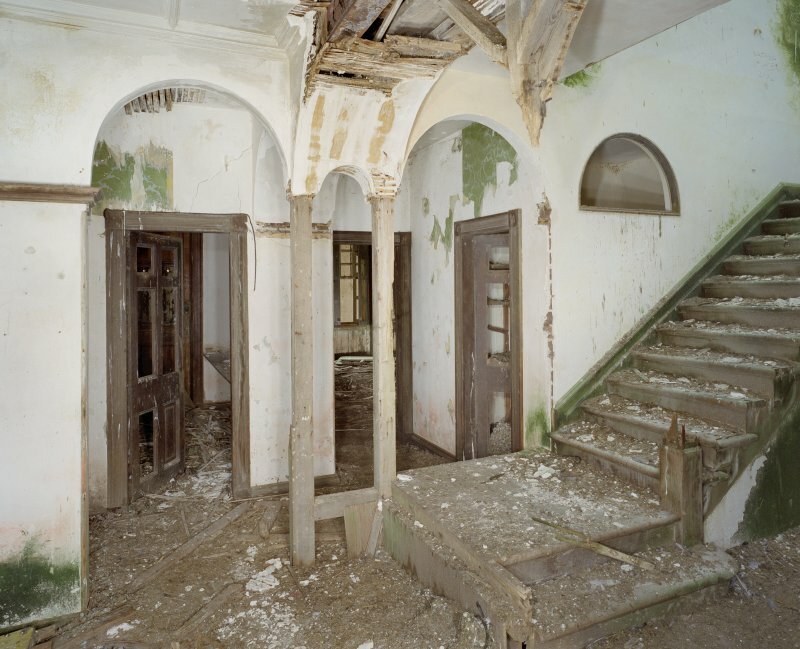 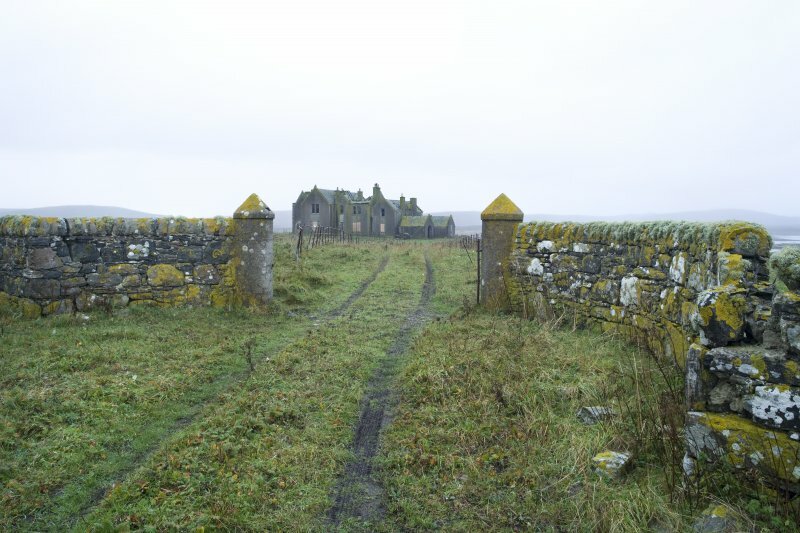 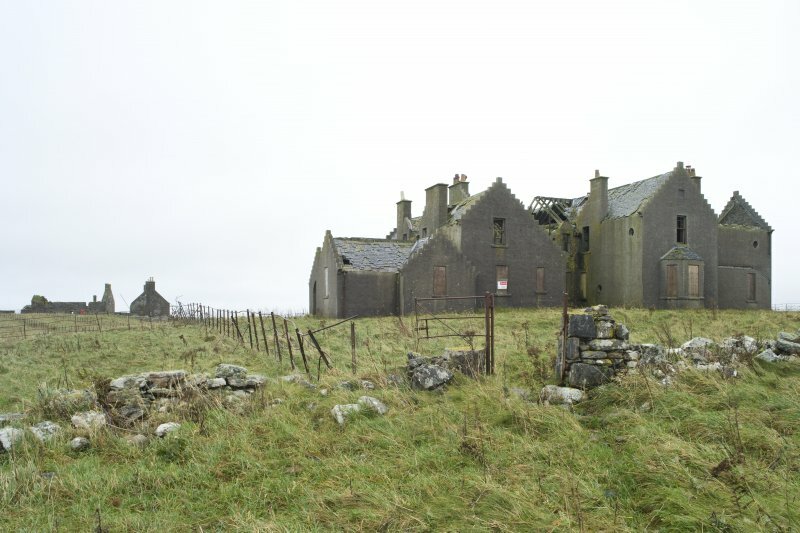 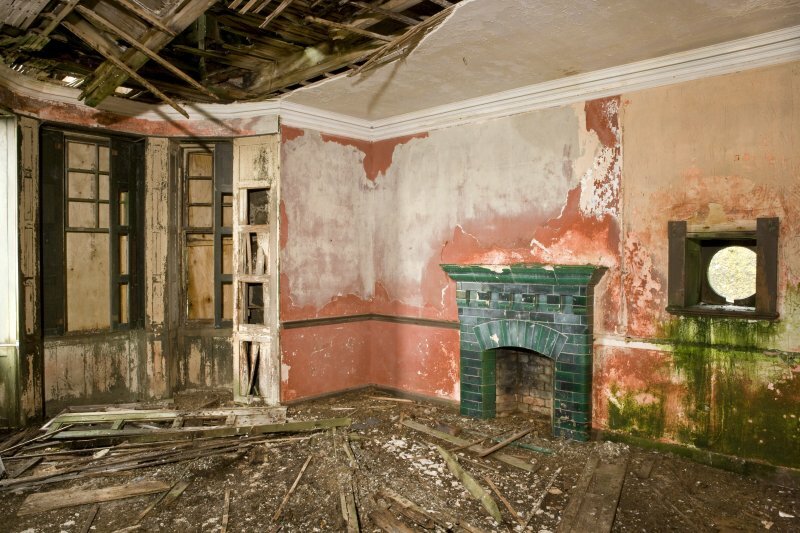 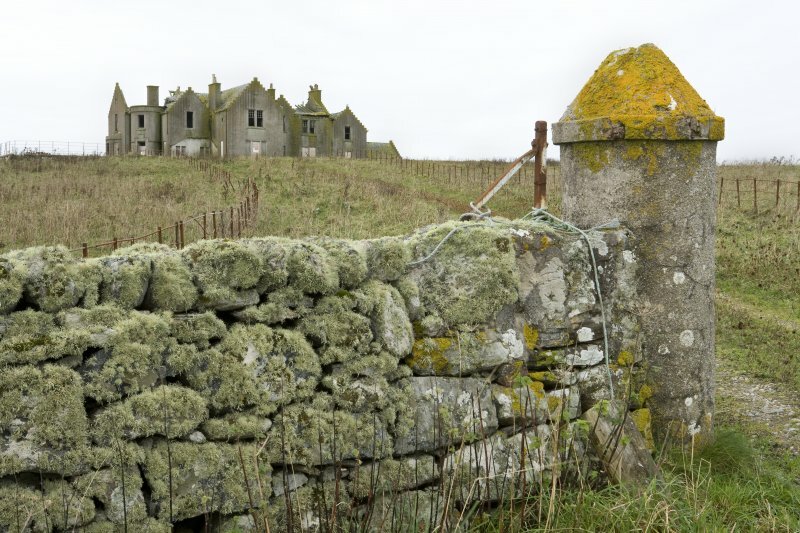 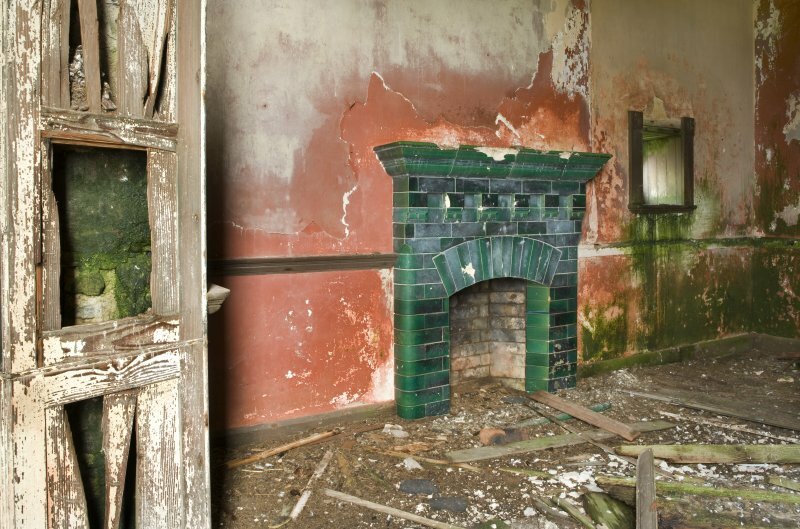 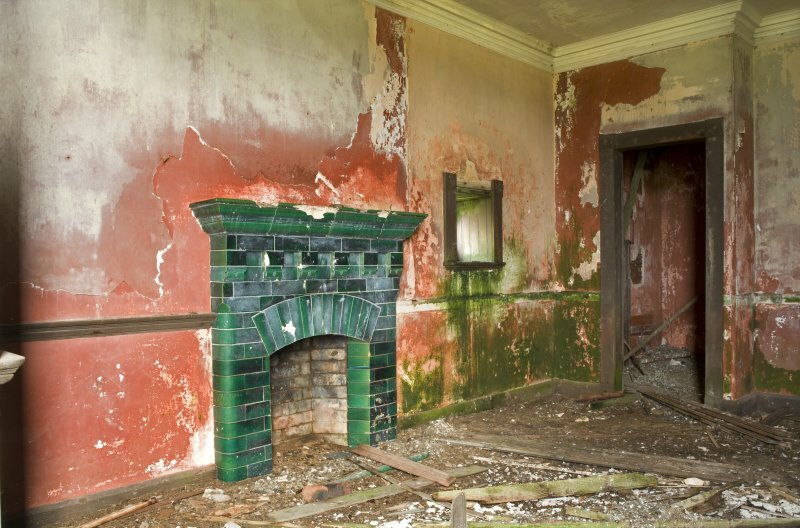 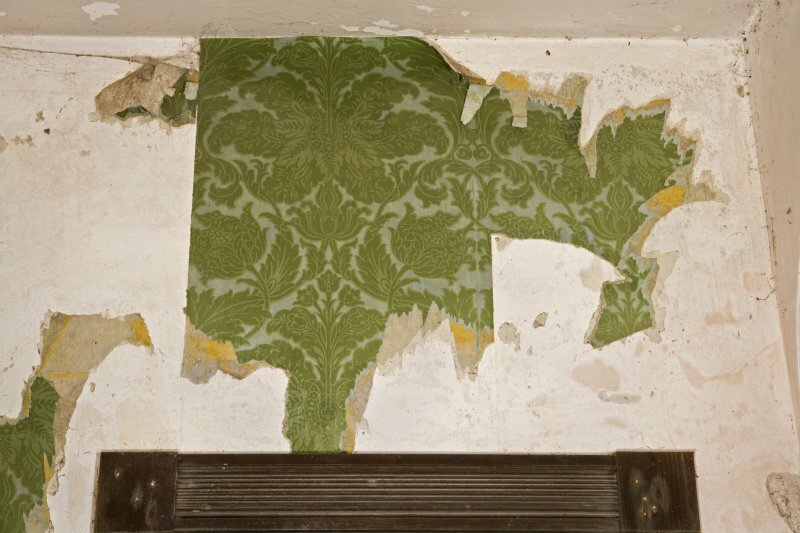 View of ruined Old Vallay House. 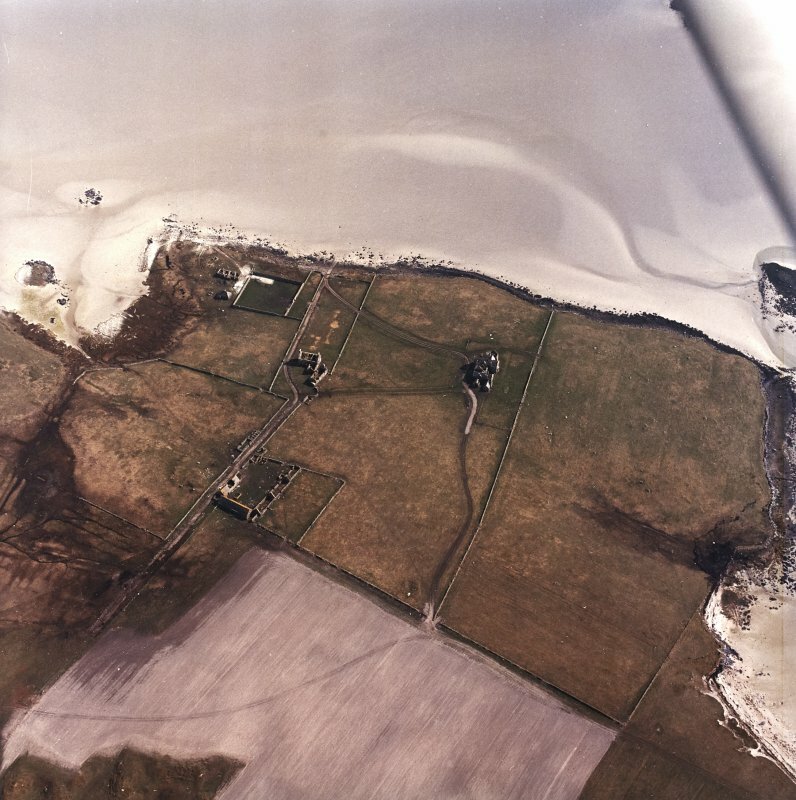 General oblique aerial view centred on the remains of Vallay House, taken from the ESE. 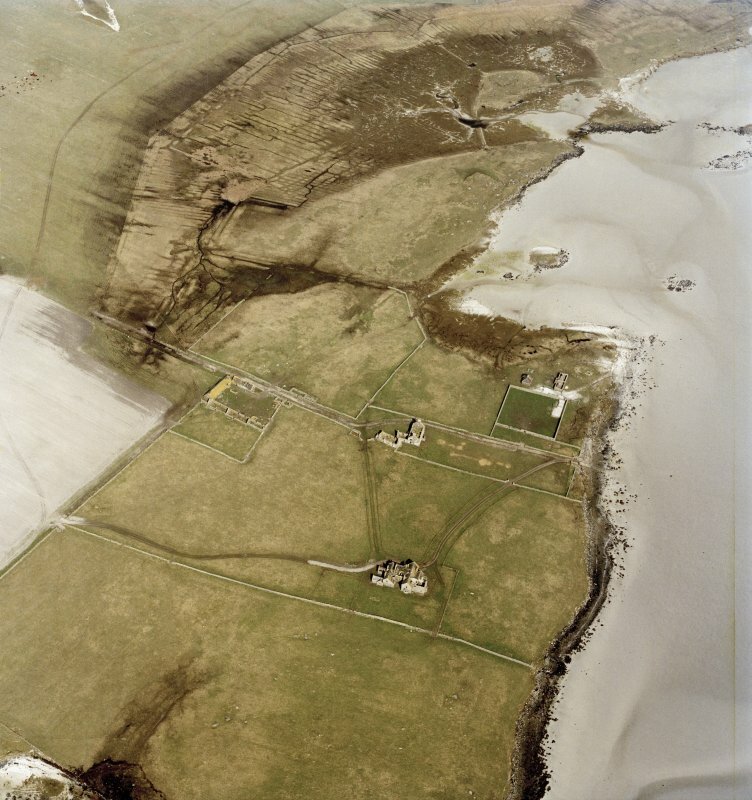 Oblique aerial view of the remains of Vallay House and Old Vallay House, Vallay, North Uist, taken from the E.
General oblique aerial view of the remains of Vallay House and Old Vallay House, Vallay, North Uist, taken from the SSW. 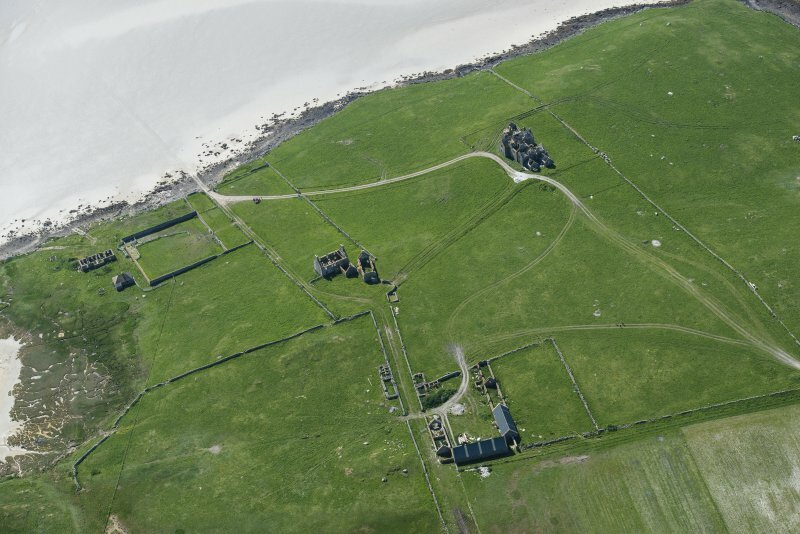 Oblique aerial view centred on the country house and the remains of the house, farmstead and walled garden, taken from the SE. 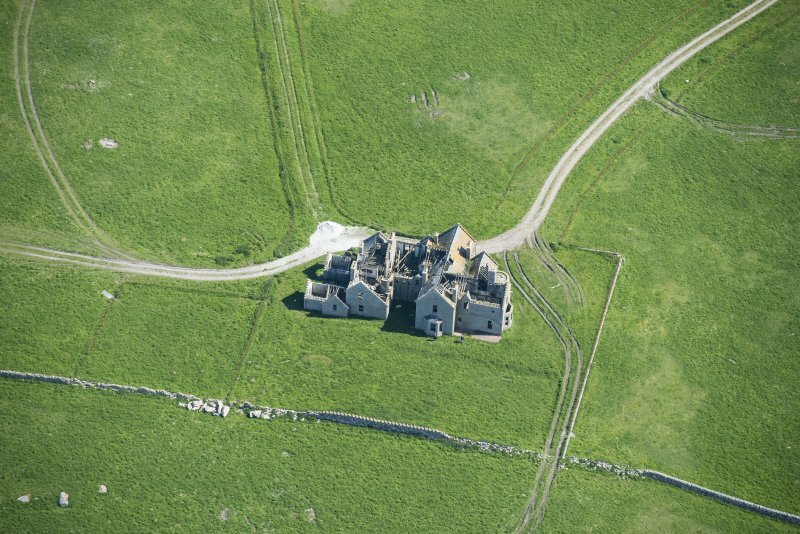 Oblique aerial view centred on the country house and the remains of the house, farmstead and walled garden, taken from the WSW. 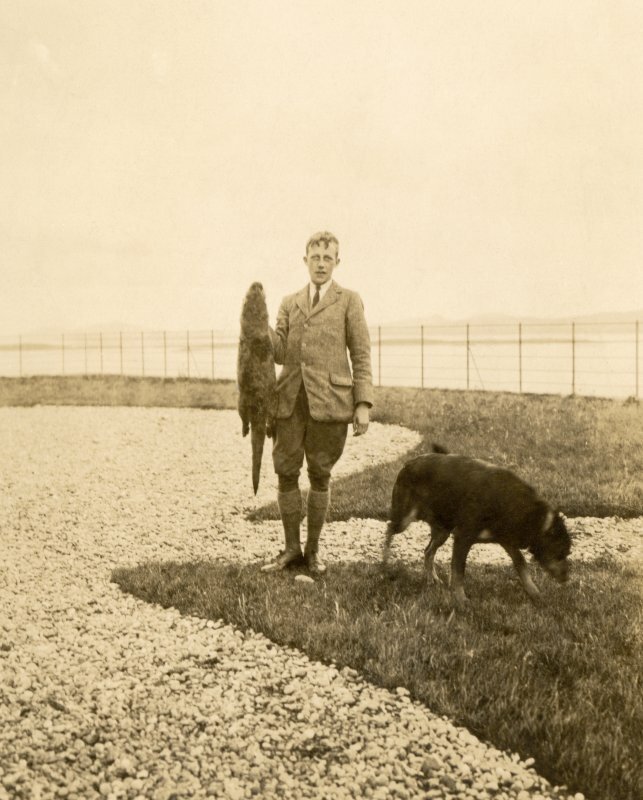 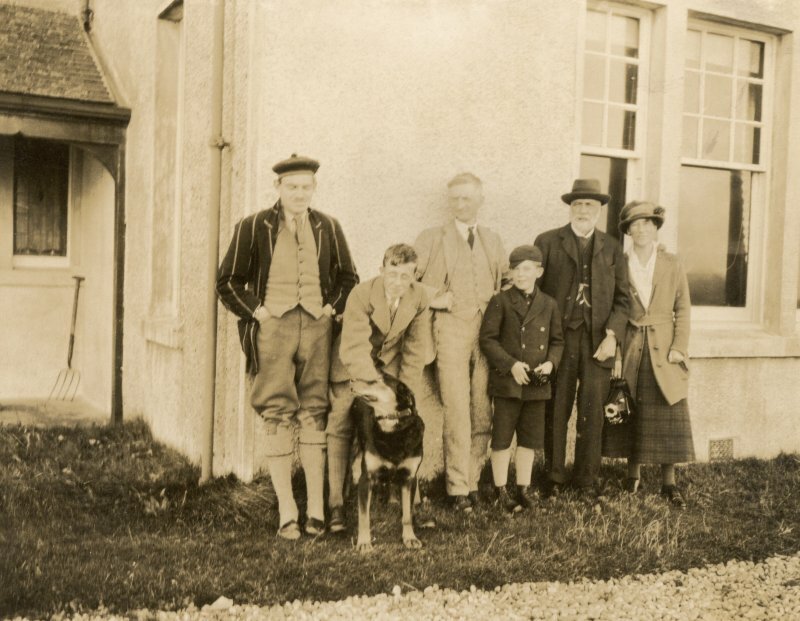 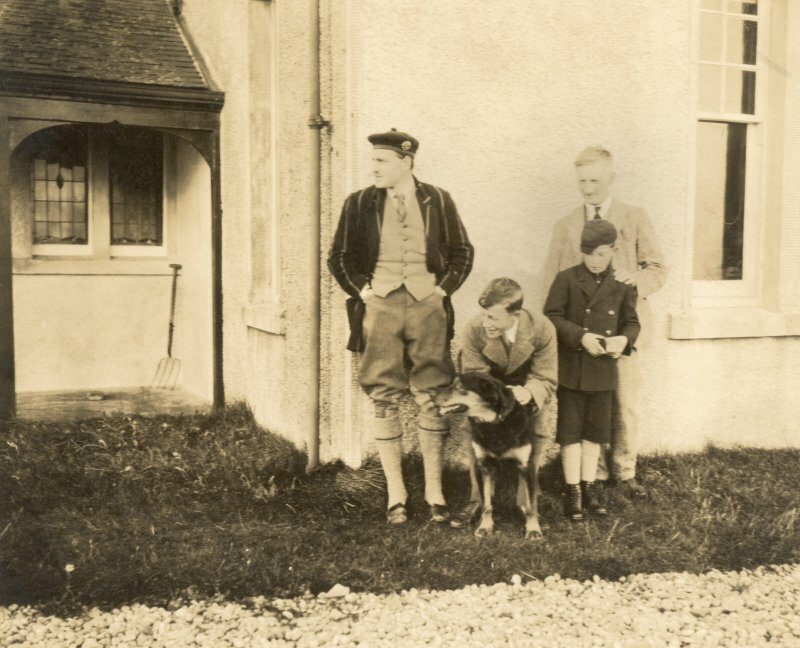 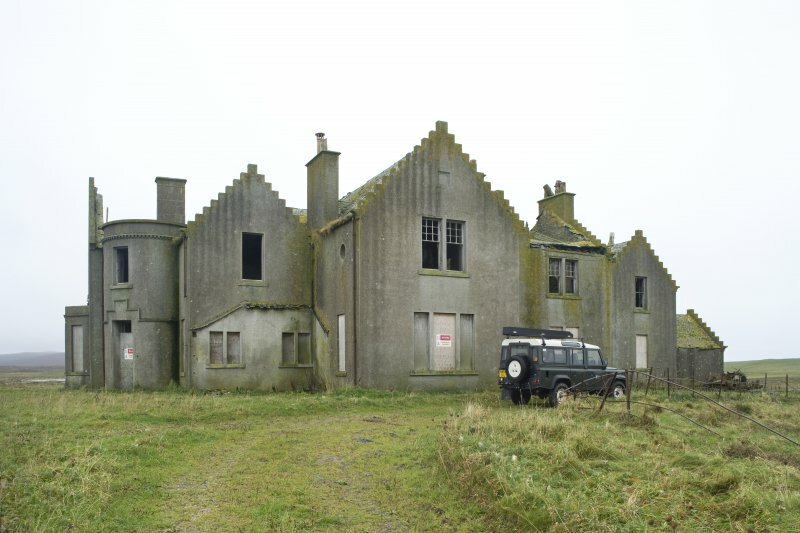 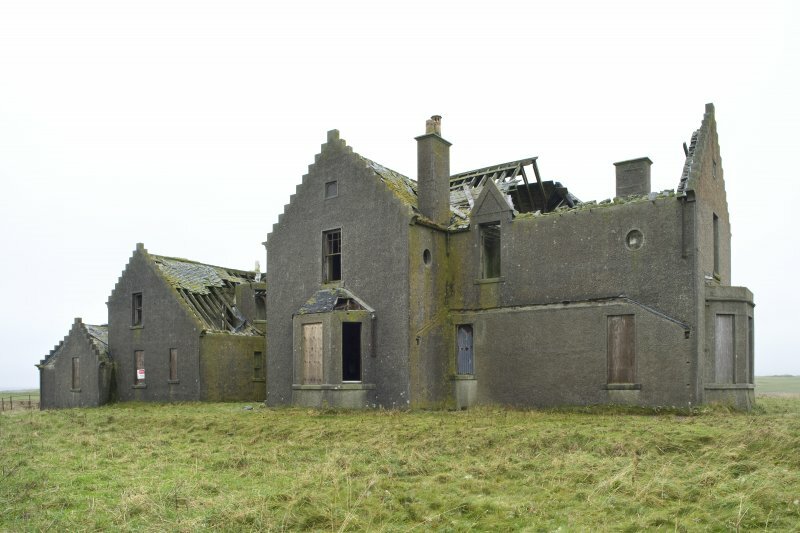 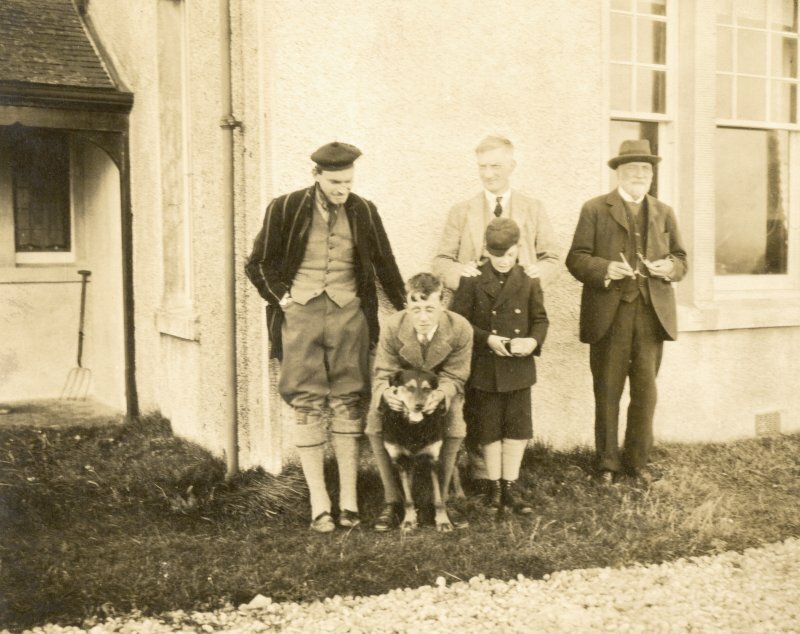 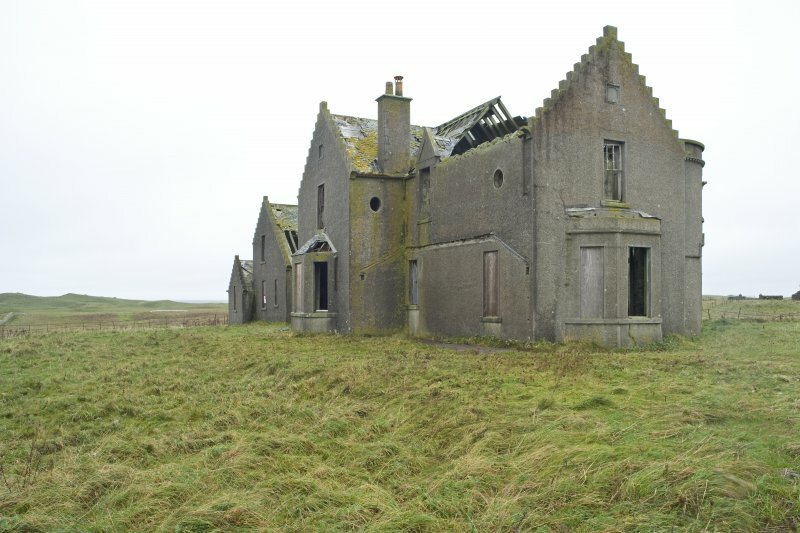 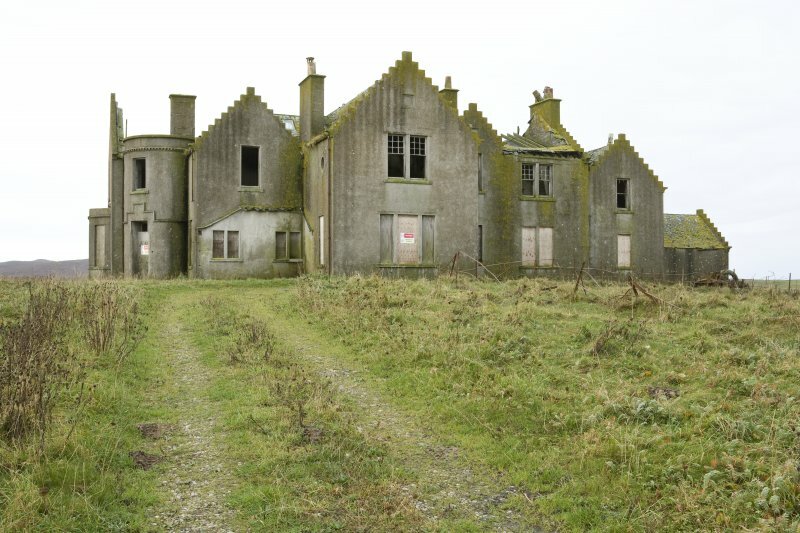 Family gathering at Vallay House, North Uist (from left - George Beveridge, Rab Frazer, Sir William Beveridge and Charles Beveridge (boy). 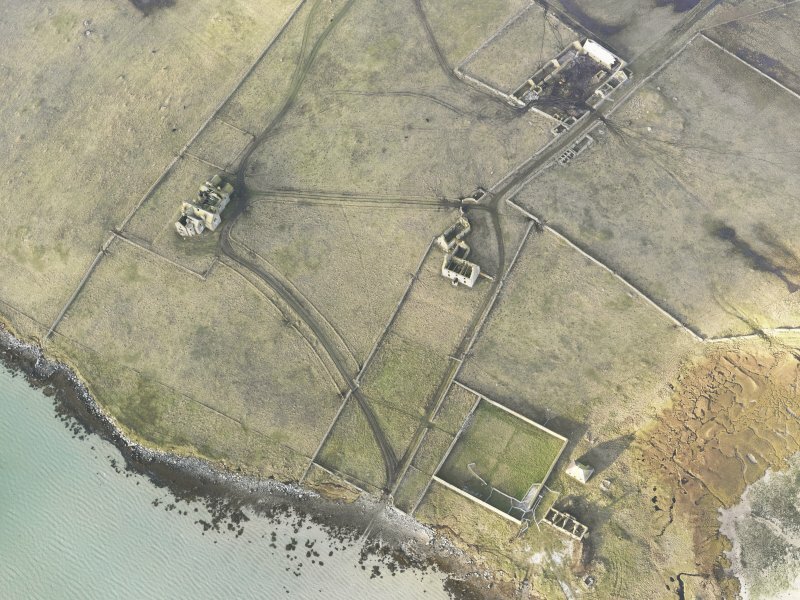 Oblique aerial view of the remains of Vallay House and Old Vallay House, Vallay, North Uist, taken from the SSW. 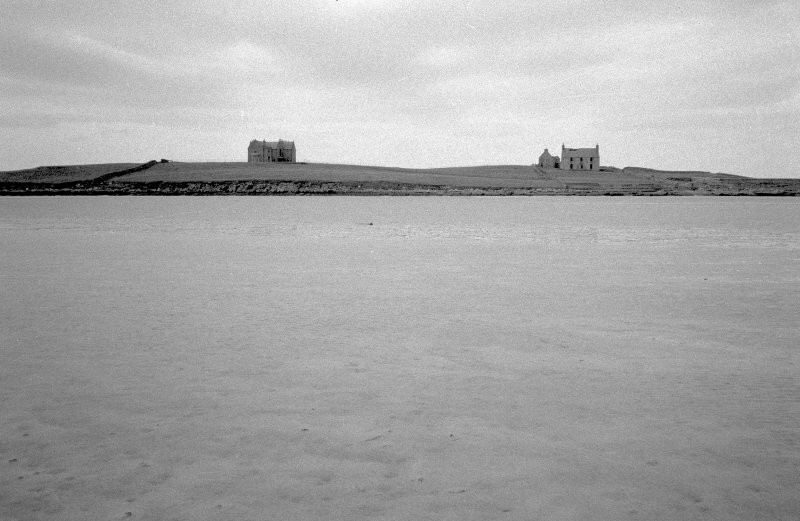 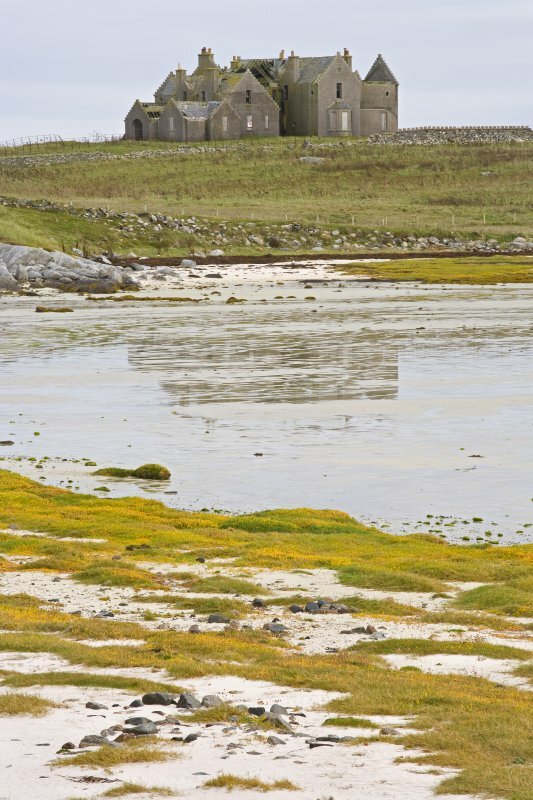 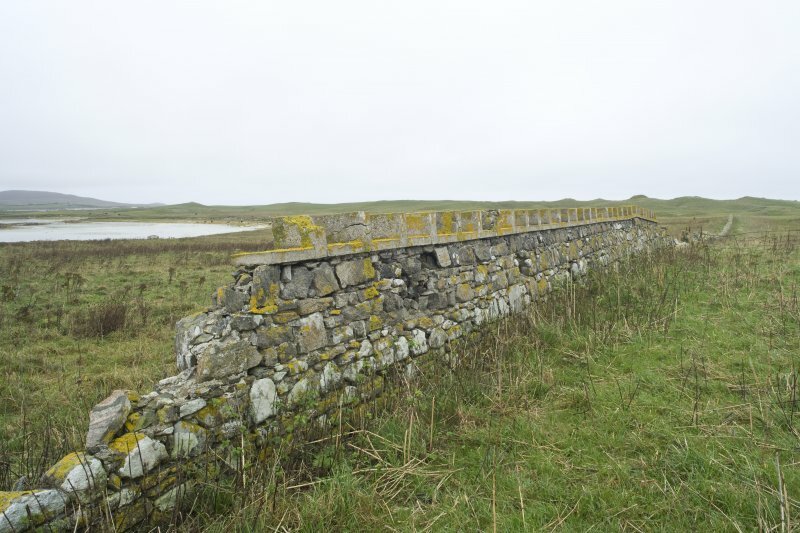 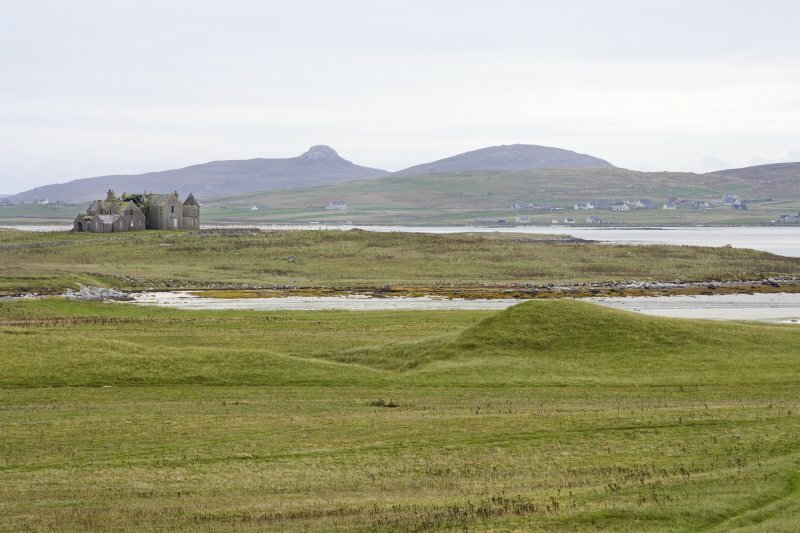 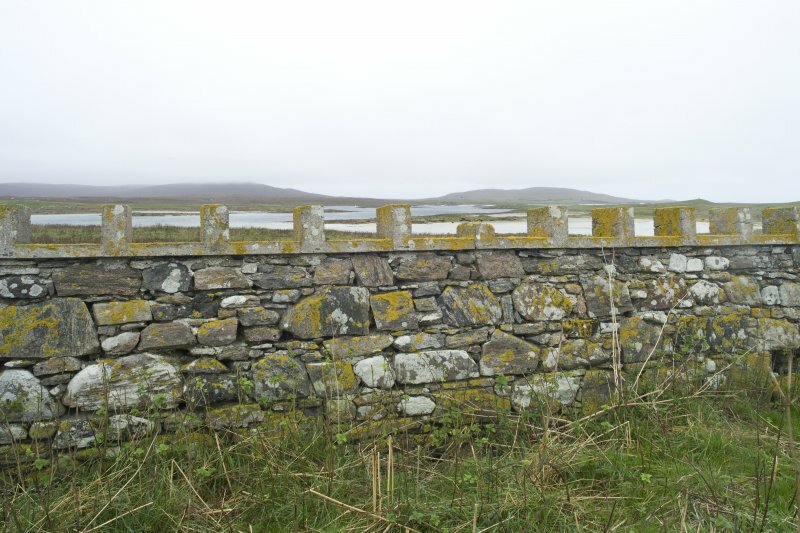 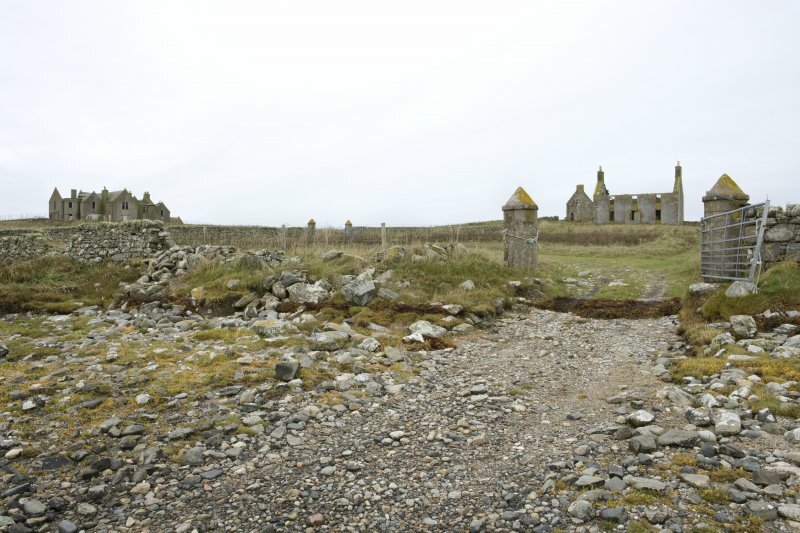 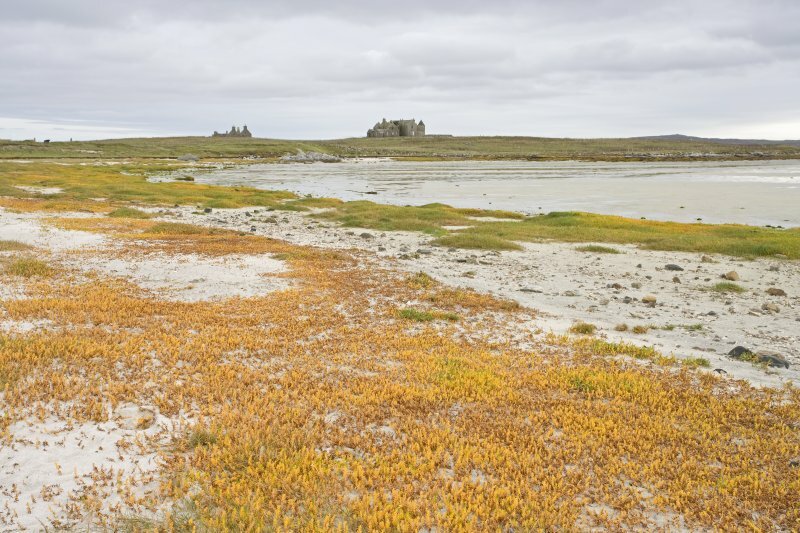 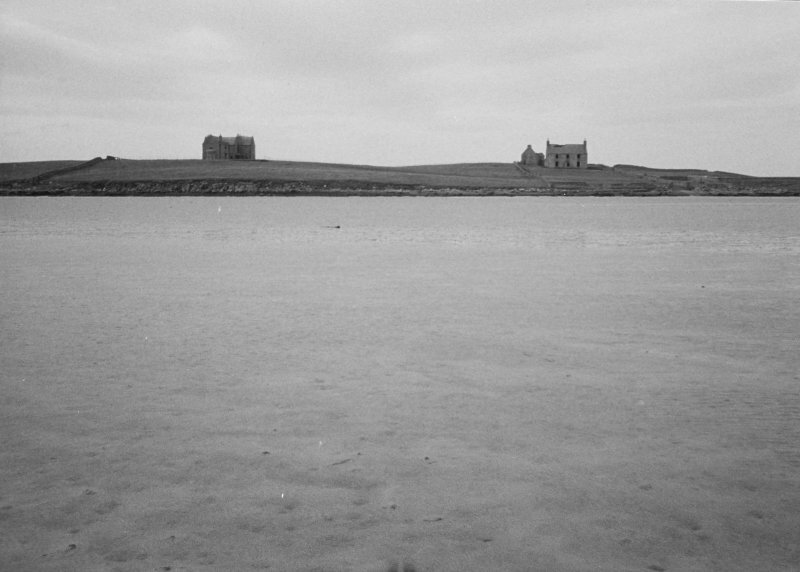 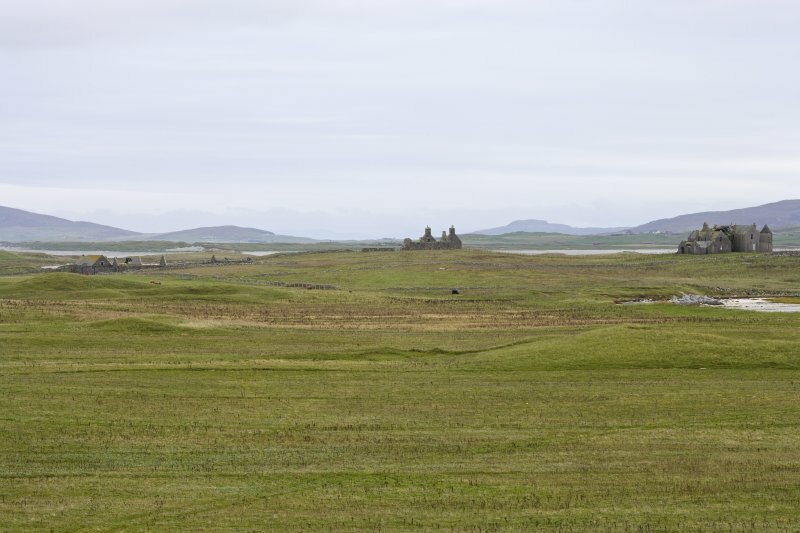 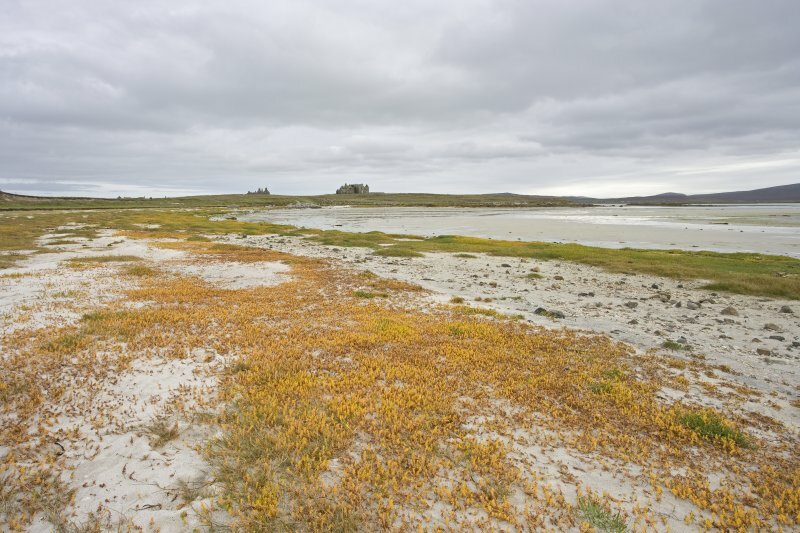 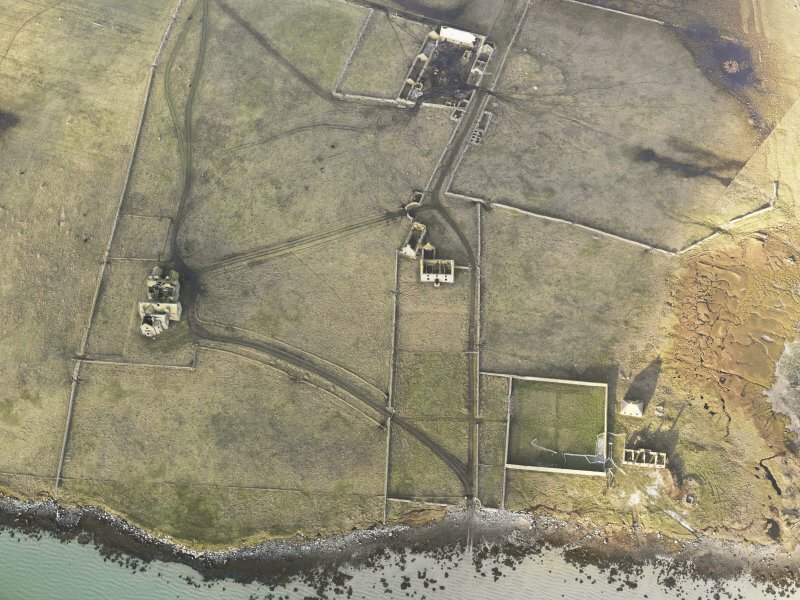 Oblique aerial view of the remains of Vallay House and Old Vallay House, Vallay, North Uist, taken from the ESE. 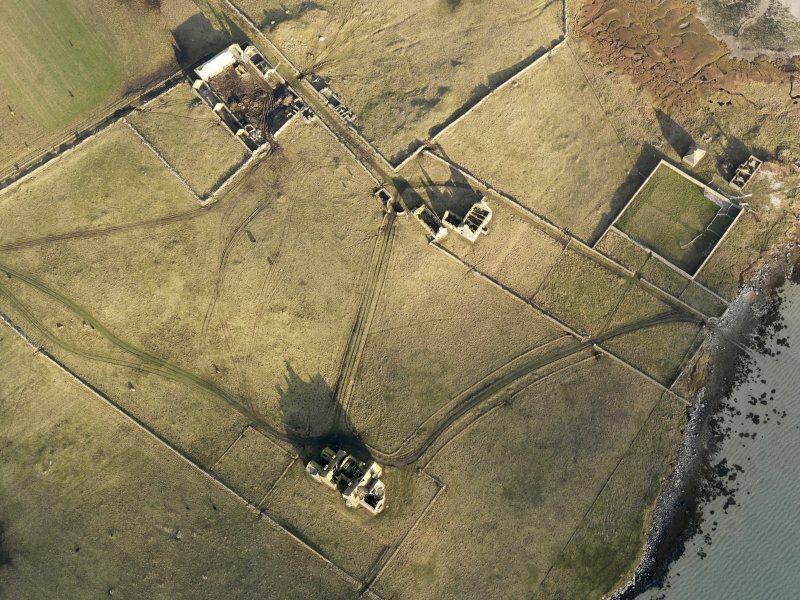 Oblique aerial view centred on the country house and the remains of the house, farmstead and walled garden, taken from the SSE. 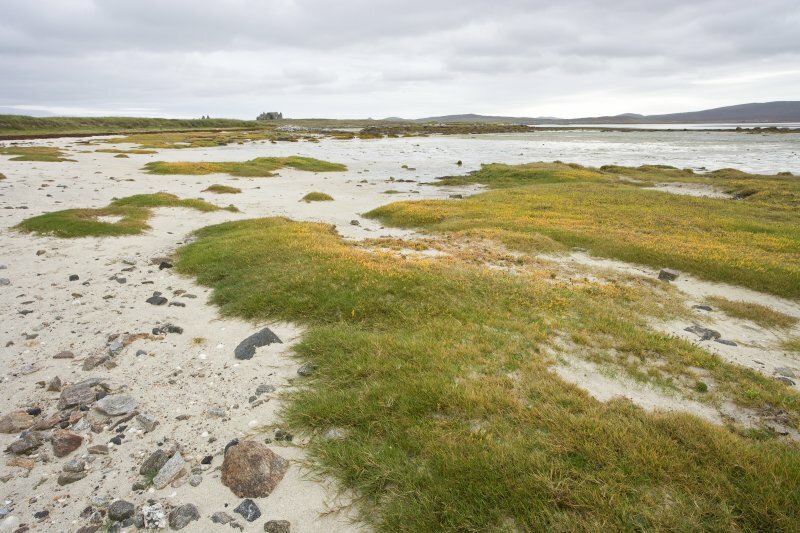 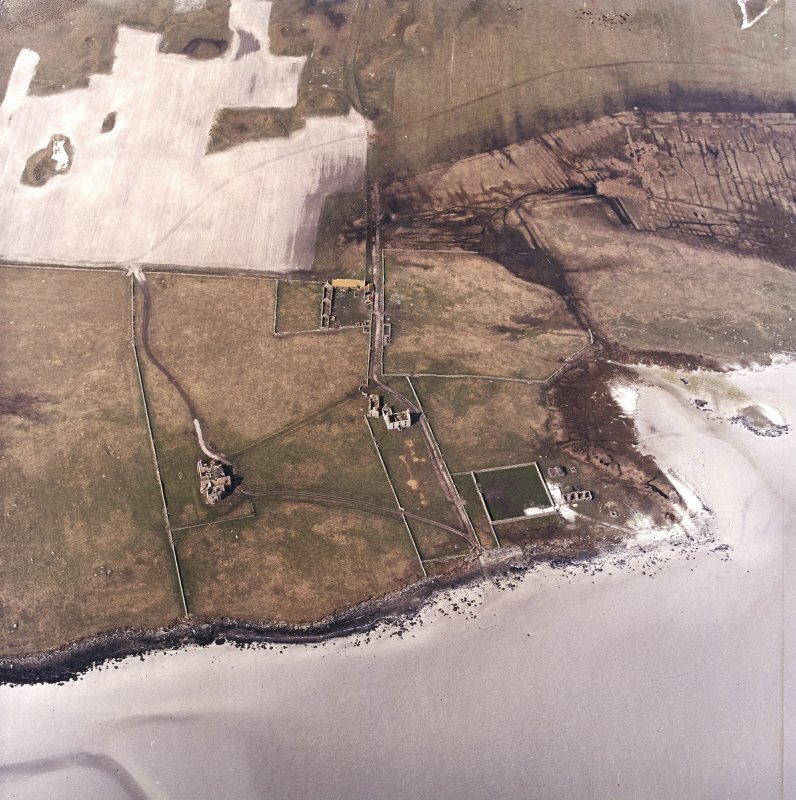 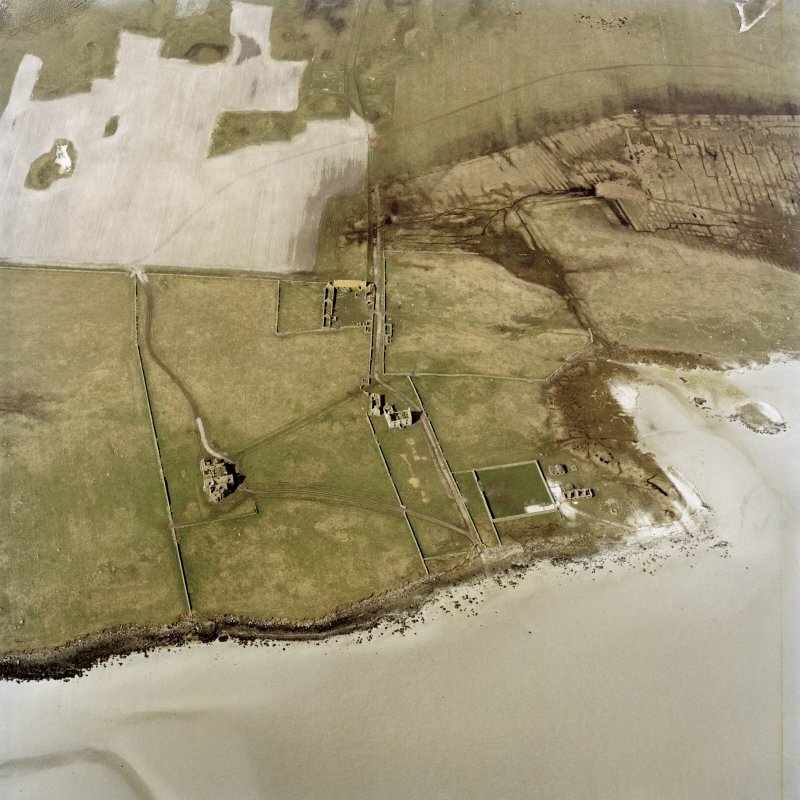 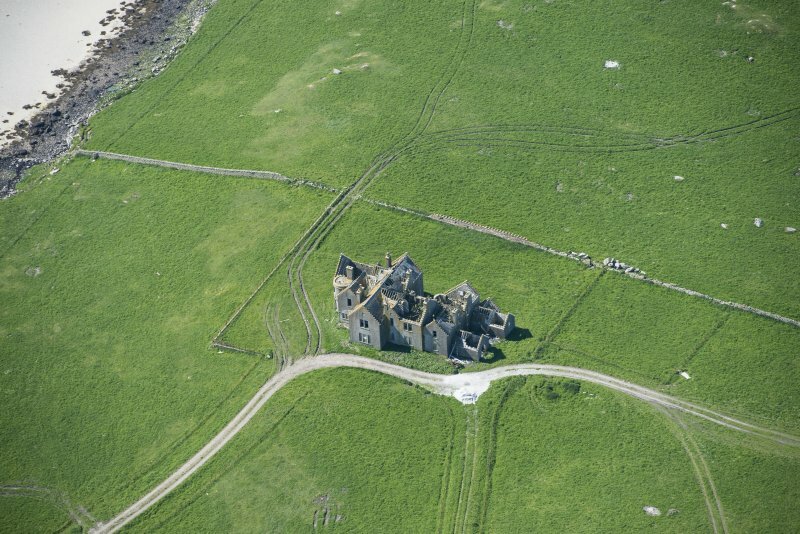 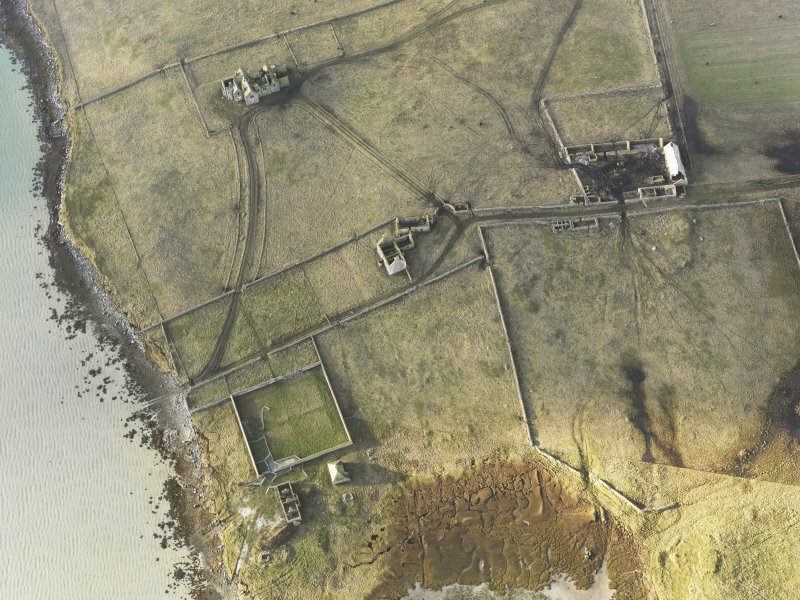 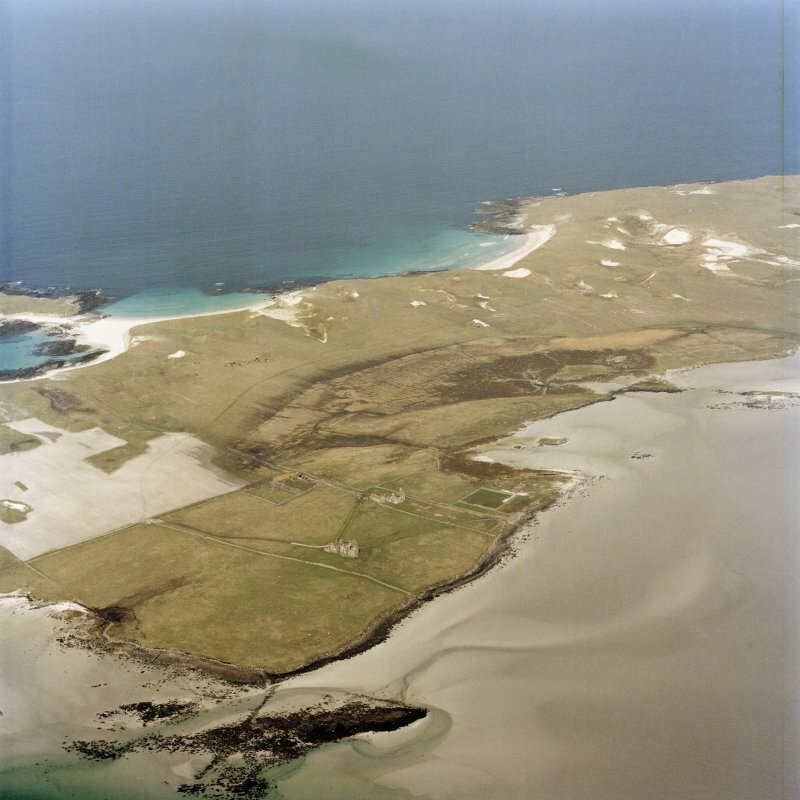 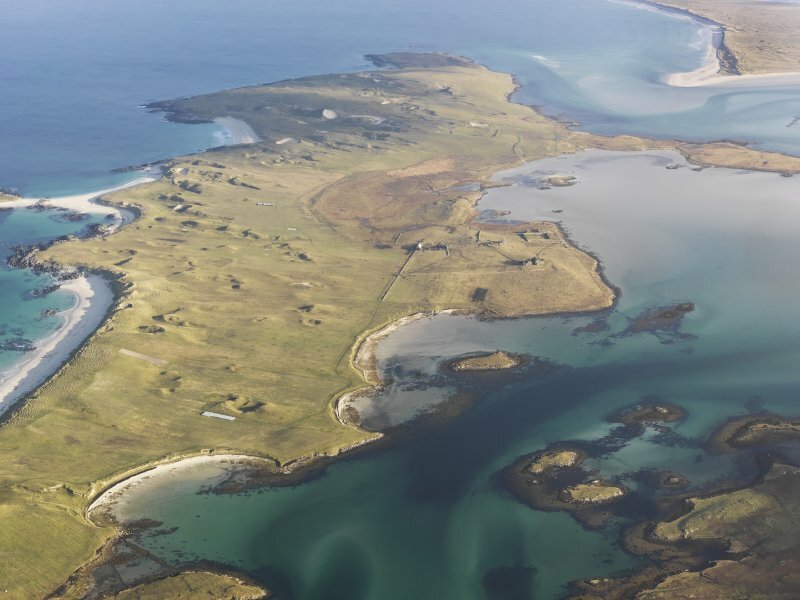 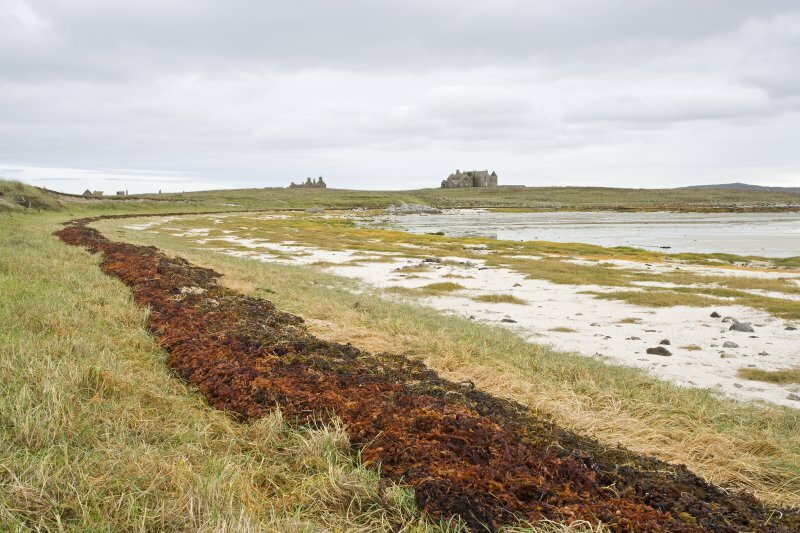 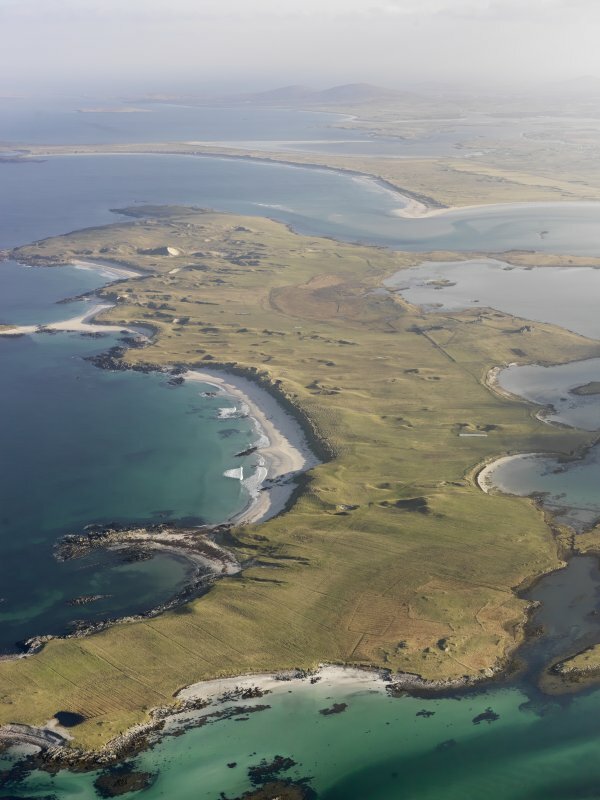 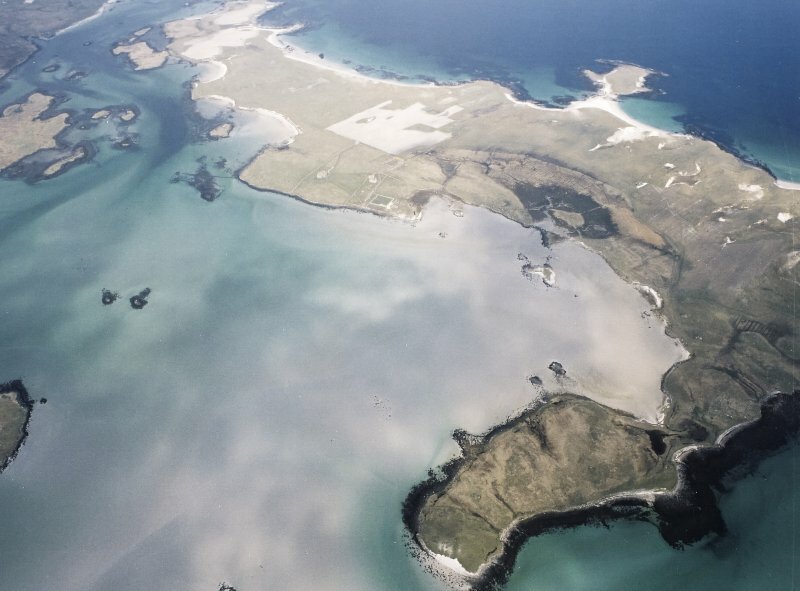 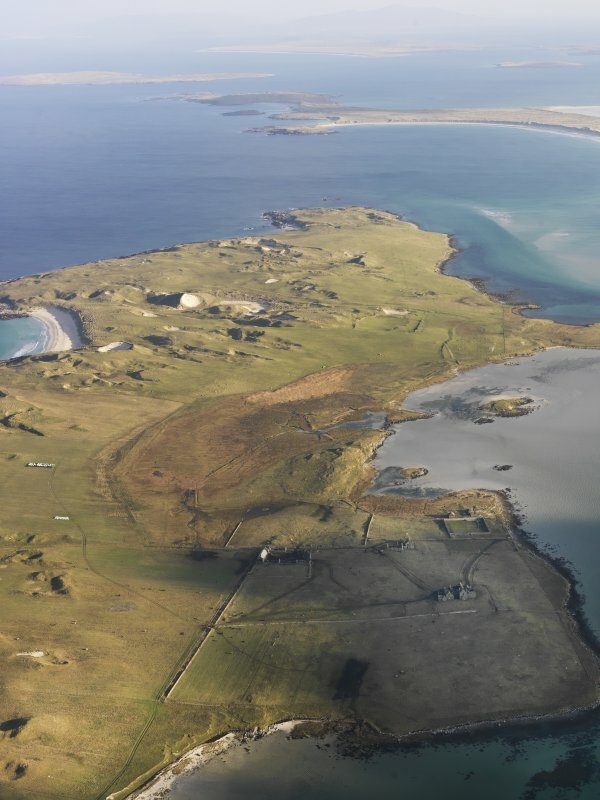 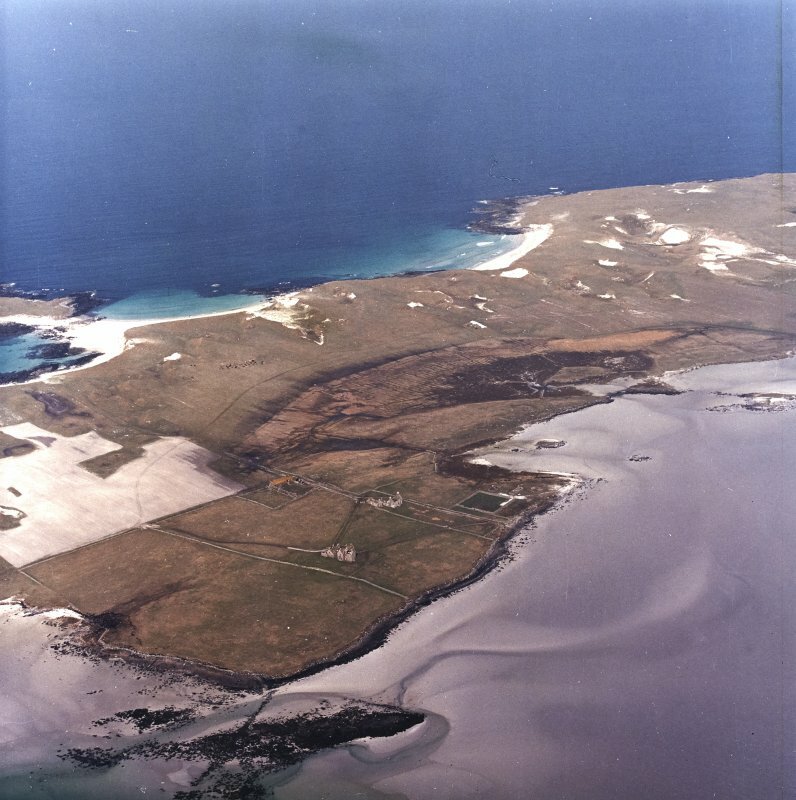 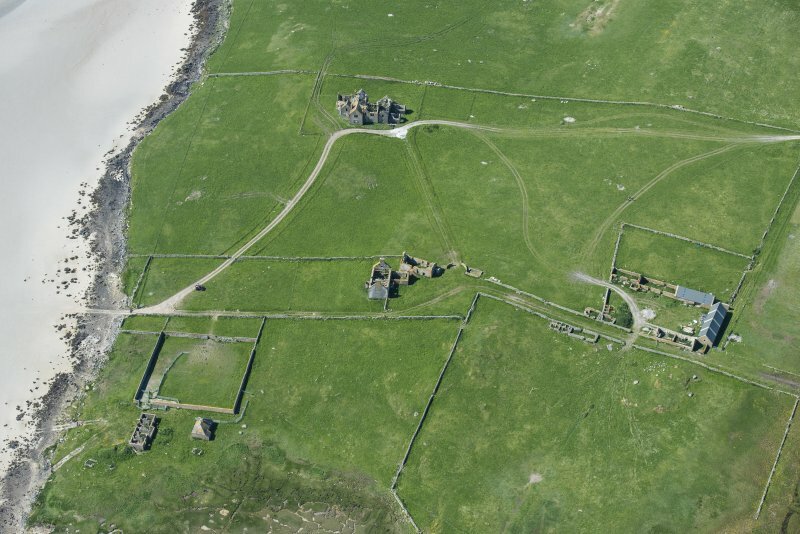 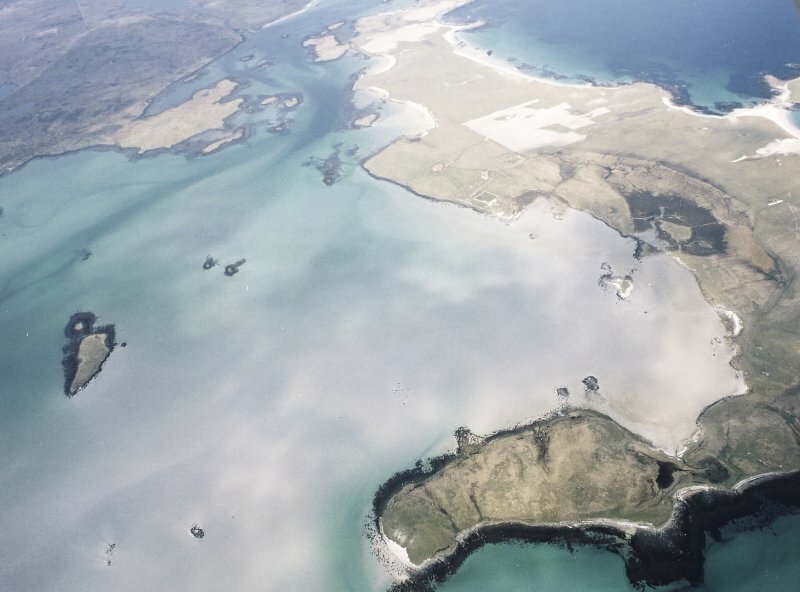 Oblique aerial view of the remains of Vallay House and Old Vallay House, Vallay, North Uist, taken from the SSE. 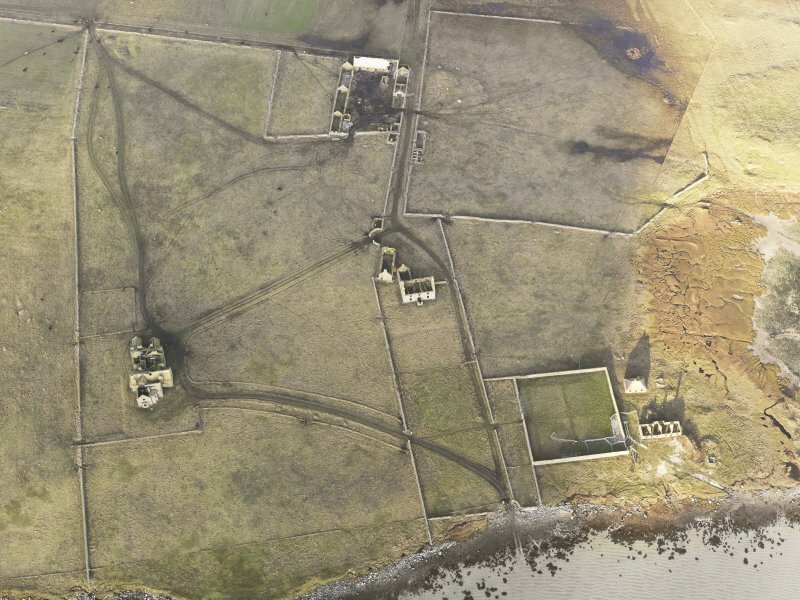 General oblique aerial view centred on the remains of Vallay House, taken from the E.
Oblique aerial view centred on the country house and the remains of the house, farmstead and walled garden, taken from the SW.